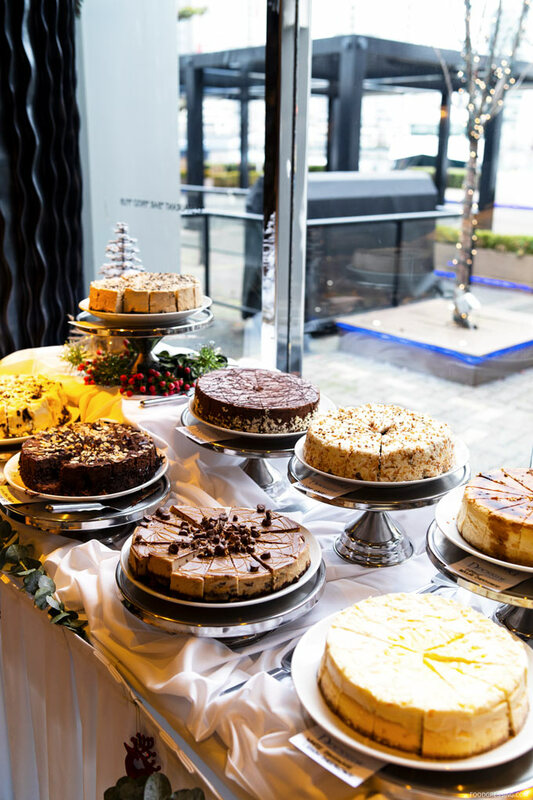 While there are many dining out options for Christmas in Vancouver (see list here), we decided on Granville Island’s iconic Dockside Restaurant for a Christmas Brunch Buffet this year. 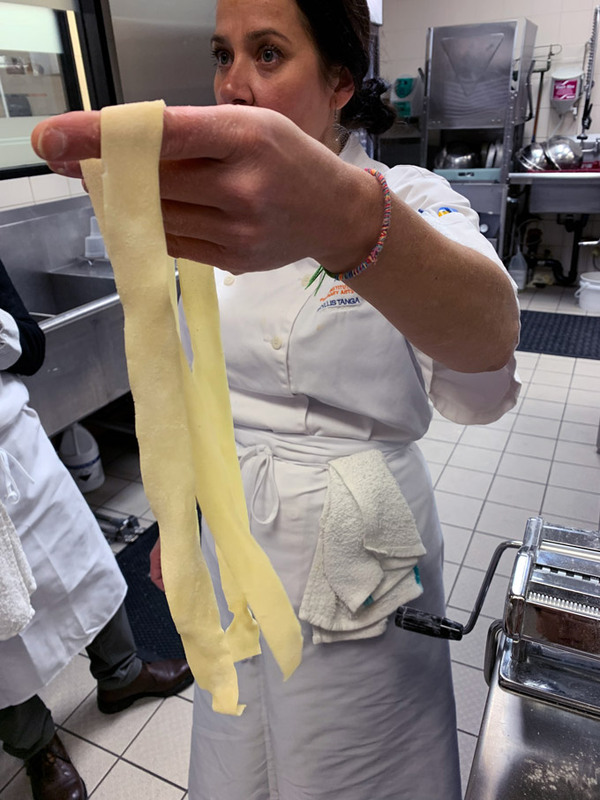 There were two seatings available (10 am and 1:30 pm) and the prices were $85 for adults, $43 for children aged 6 – 10 and free for children 5 and under. 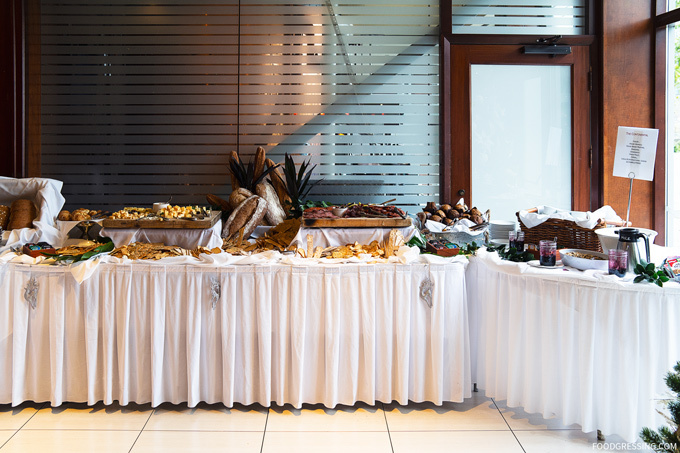 Among the various Christmas buffet options available, I liked that Dockside didn’t charge full price for kids 5 and under. There are restaurants in Vancouver that actually do so! While I understand that restaurants might want to charge a full price for a seat (like on an airplane), I didn’t think it was worth it to take my 4 year-old son to a restaurant and pay $90 for his meal. I had made a reservation for the 10 am seating about two weeks prior to Christmas. All the tables were pretty much booked. 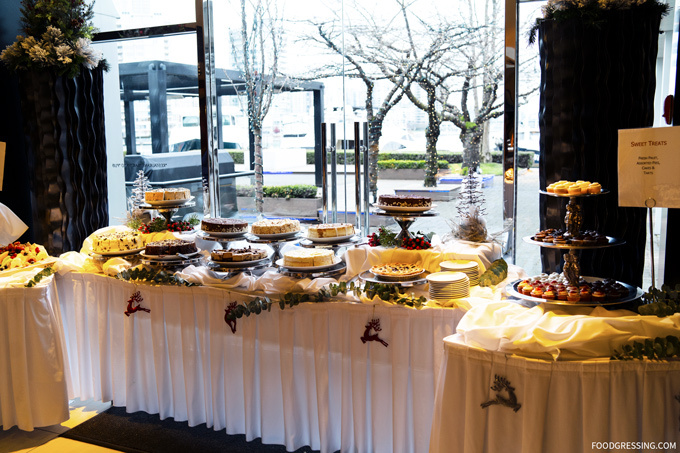 White Chocolate Lemon Cheesecake, Carrot Cake, Chocolate Almond Cake, Chocolate Truffle, Tiramisu Cheesecake, Red Velvet Cake, Cupcakes etc. 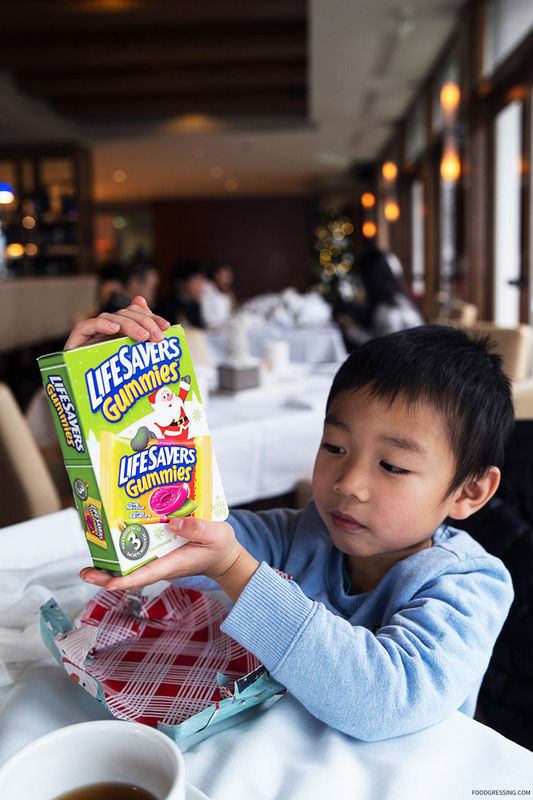 My son received a wrapped present from the restaurant (ie, a gift for kids) which was Lifesavers Gummies. The staffing levels were adequate for the number of customers. 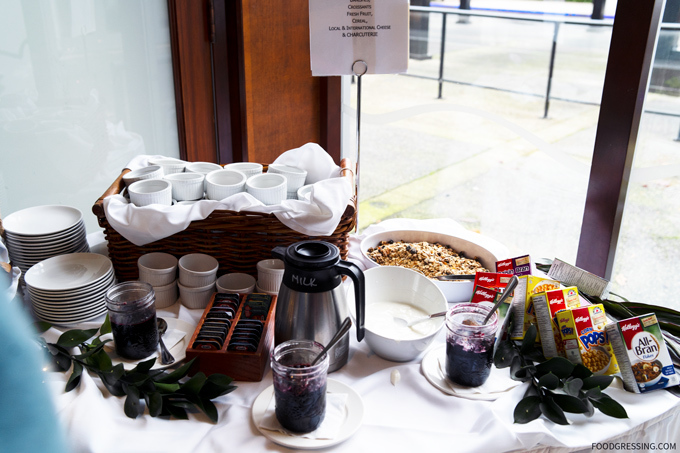 All the buffet items were well-stocked throughout the meal. 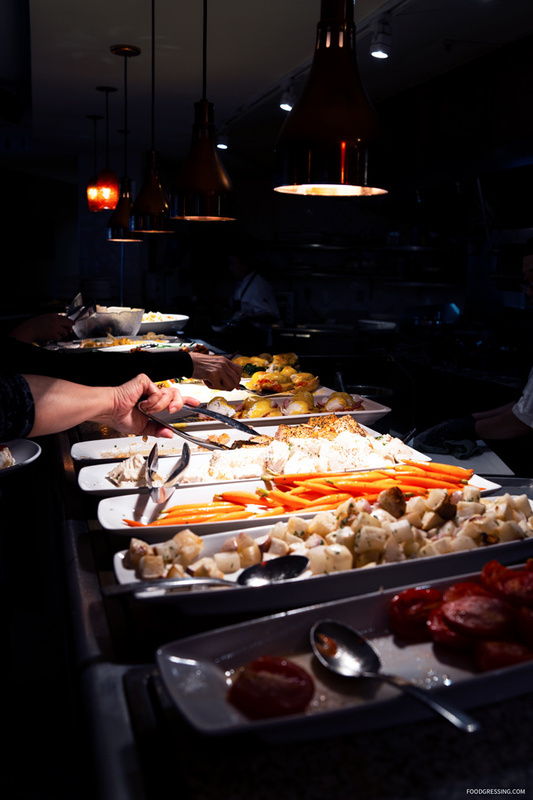 Dishes were cleared from the table in a timely manner. 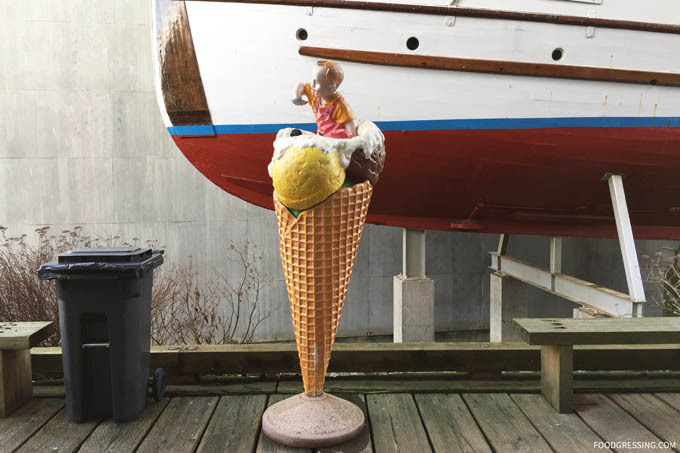 I thought that the Dockside Christmas Buffet was solid. 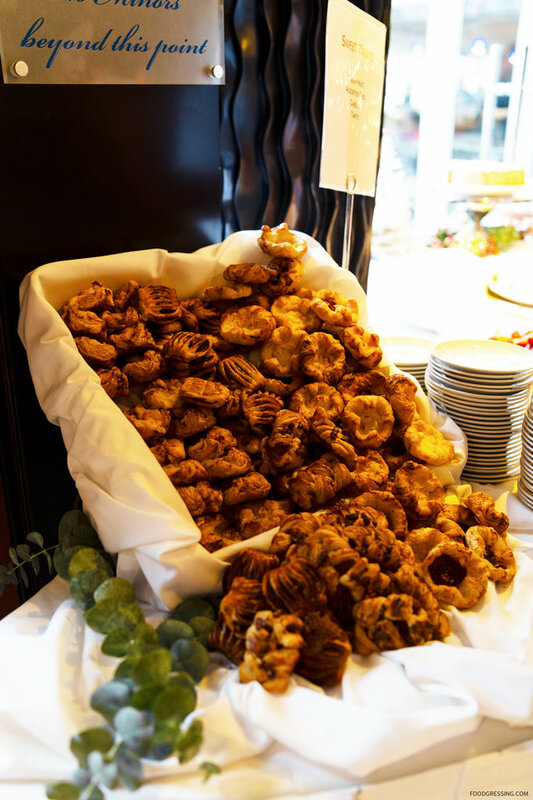 It’s a classic buffet with enough variety to please everyone. 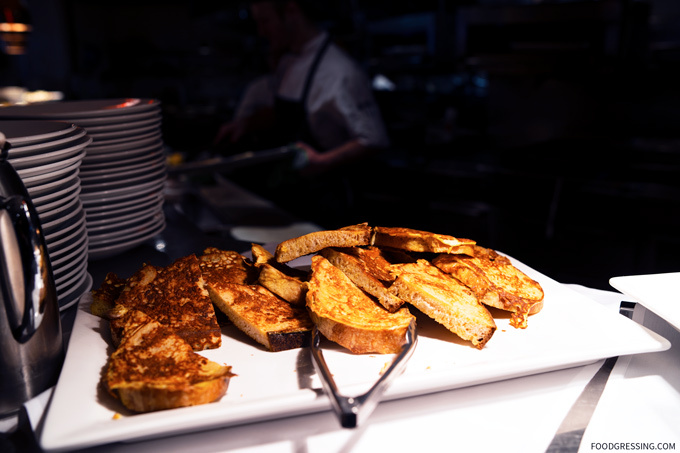 A few misses for me were the French Toast which was too hard, the Chili Squid needed more chili seasoning and the Yorkshire Pudding which were really too big. 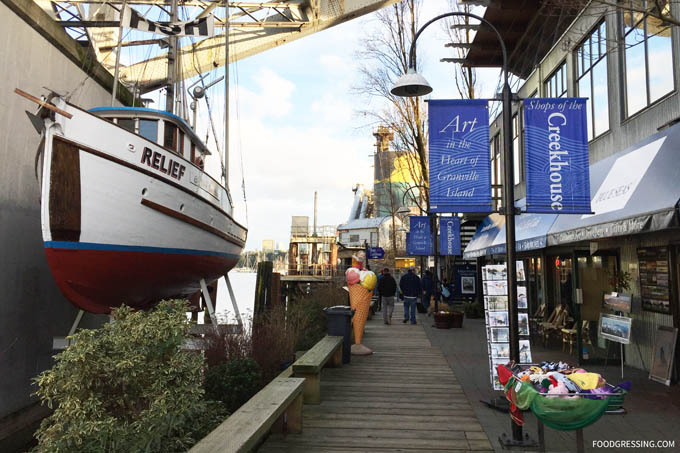 If you’re visiting Vancouver from out of town, you might just find yourself exploring one of the city’s popular destinations, Granville Island. 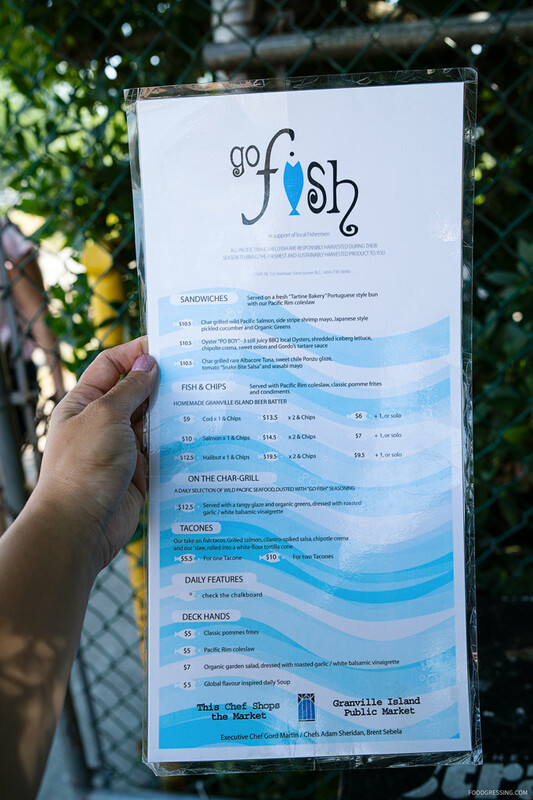 For a dining recommendation in the area, I would suggest Go Fish Ocean Emporium: a charming outdoor seafood shack serving fish and chips, sandwiches, grilled seafood, sides, and more to eat outside or take away. 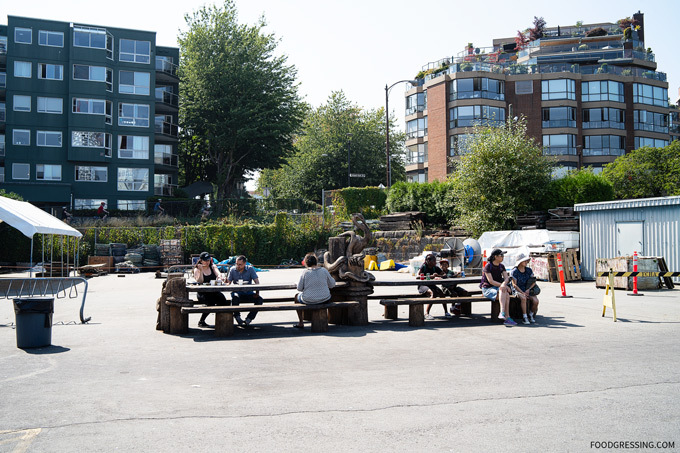 Go Fish is not located on Granville Island per se, but just outside the area. 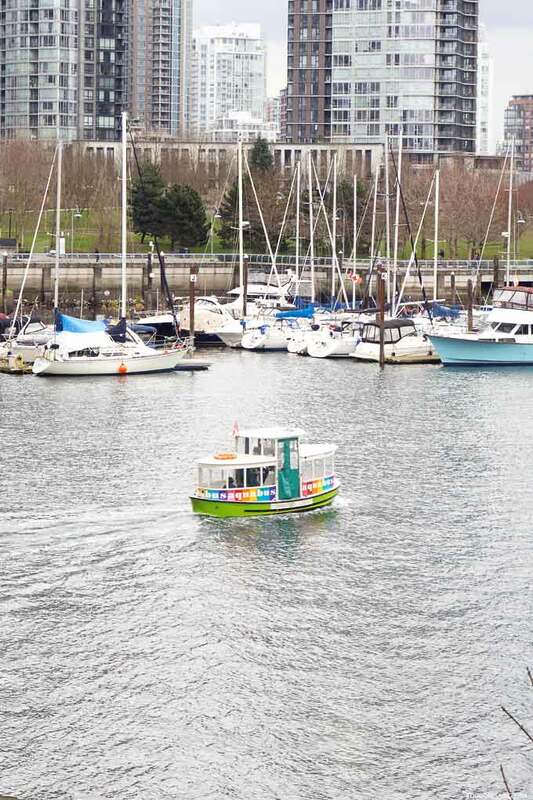 You will need to take a five-minute walk along the seawall from the Granville Island entrance to Fisherman’s Wharf. 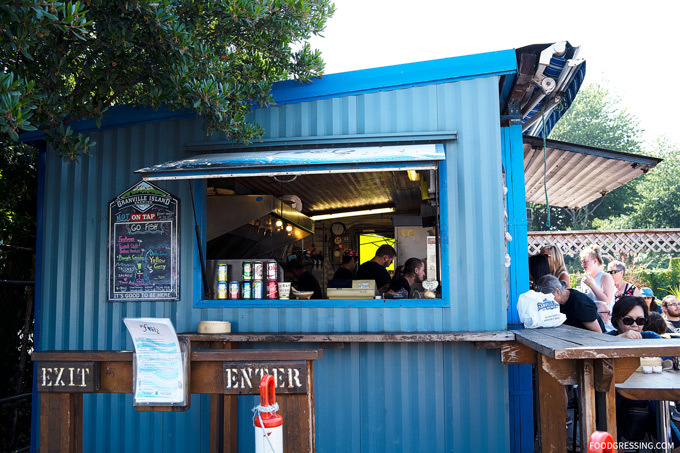 Look for the vibrant blue-coloured shack. The restaurant has no indoor seating but they do have a patio as well as a communal table nearby. 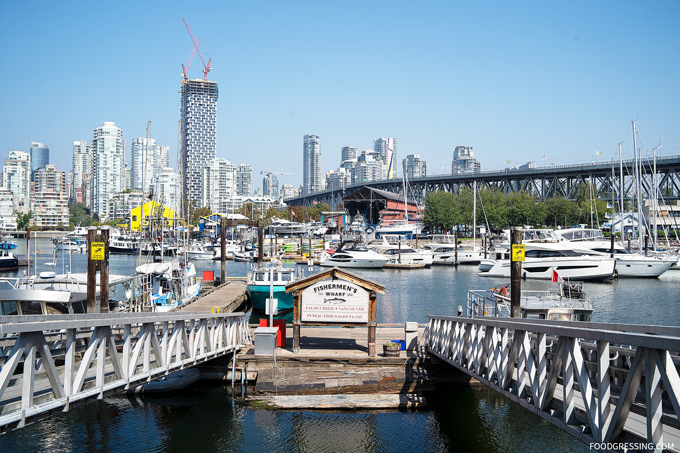 During the summer months, it’s a great place to enjoy seafood while enjoying stunning waterfront views of False Creek. 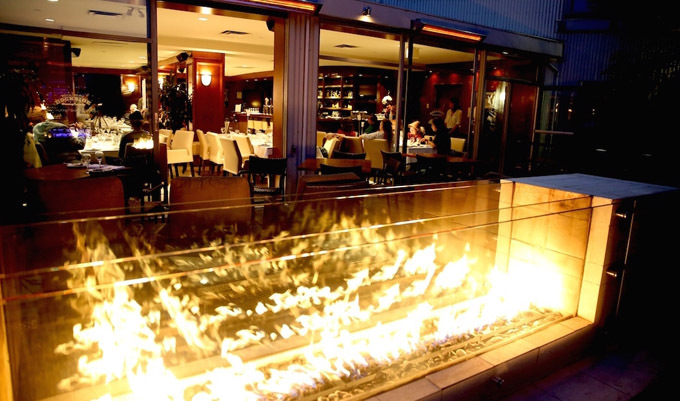 In the winter, their patio is heated and covered. Pro tip: beware of watchful seagulls who are ready to swoop in and take your meal if you’re not looking! 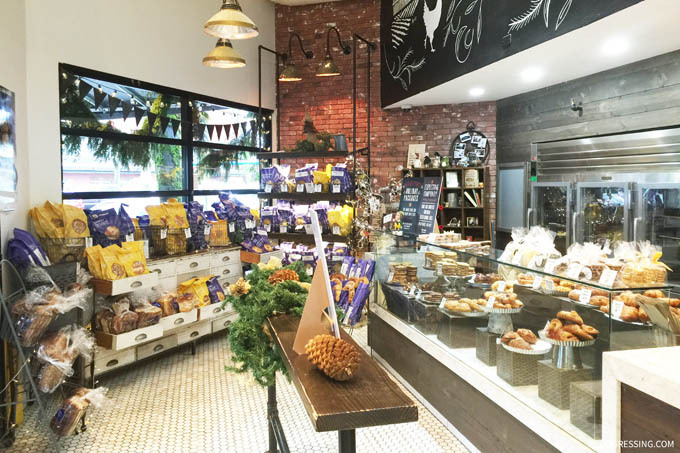 This restaurant supports local fishermen and all Pacific fish and shellfish are responsibly harvested. 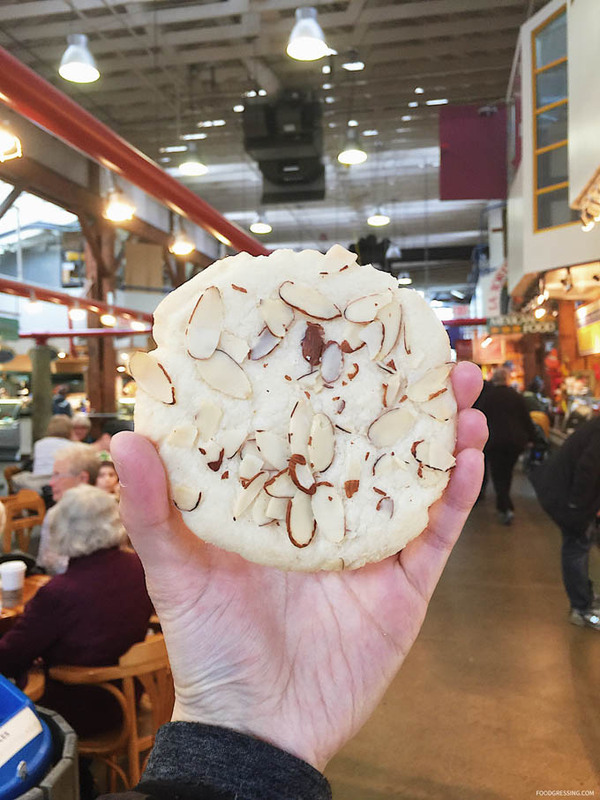 They also source their ingredients from the Granville Island Market. 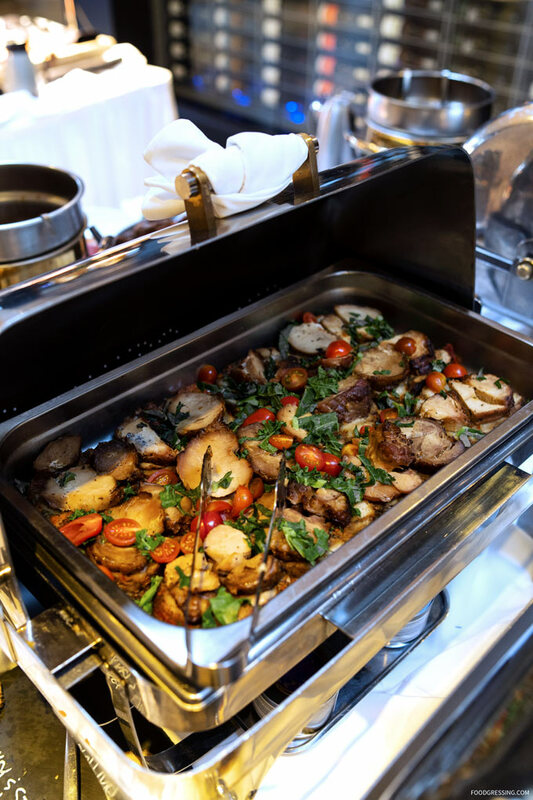 On the menu are seafood sandwiches, fish & chips, char-grilled seafood, tacones and more. 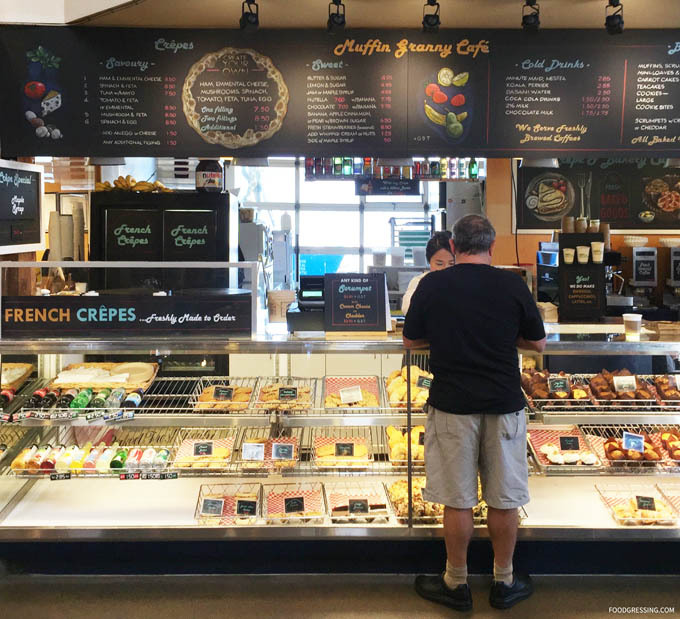 Be sure to check the chalkboard for the Daily features. The orders are taken place at the walk-up window on the side of the shack. As I had mentioned in my old post circa 2014, tacones are what I order regularly. 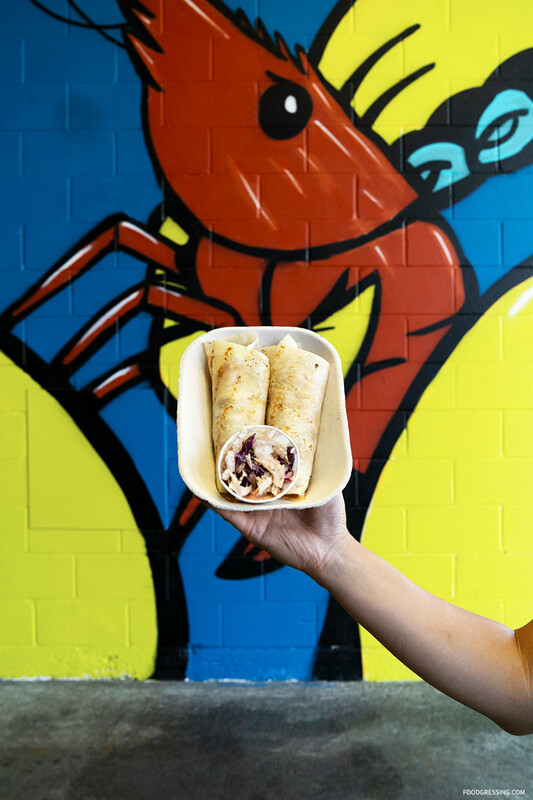 Tacones are essentially Go Fish’s version of seafood tacos with a twist featuring cilantro-spiked salsa, chipotle crema, their version of coleslaw and all rolled into a white-flour tortilla cone. Tacones are $5.50 each or two for $10. You can mix amd match as well. This time around, I had ahi tuna and salmon tacones which were delicious as usual. 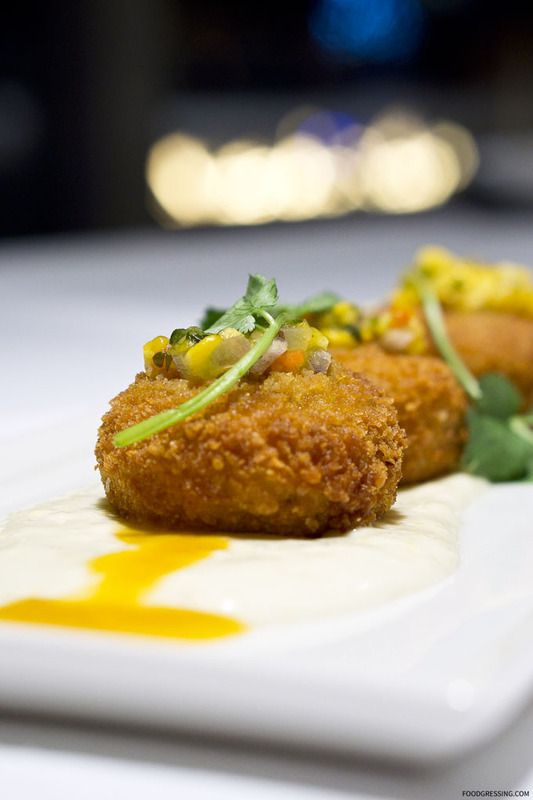 I love ahi tuna in general and its firm texture and mild flavour so the tuna tacone really appealed to me. The ahi tuna was perfectly seared on the outside. Go Fish’s version of coleslaw has some Asian flavours being a bit sweet and sauce. I love how crunchy the coleslaw is to give every bite a bit of more texture. 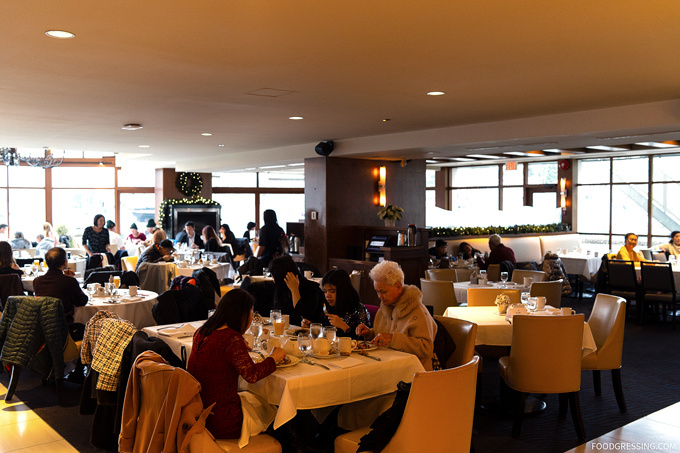 I highly recommend Go Fish for tourists and locals alike who want to enjoy some fresh, tasty, and sustainable seafood while enjoying views of Downtown Vancouver and False Creek. 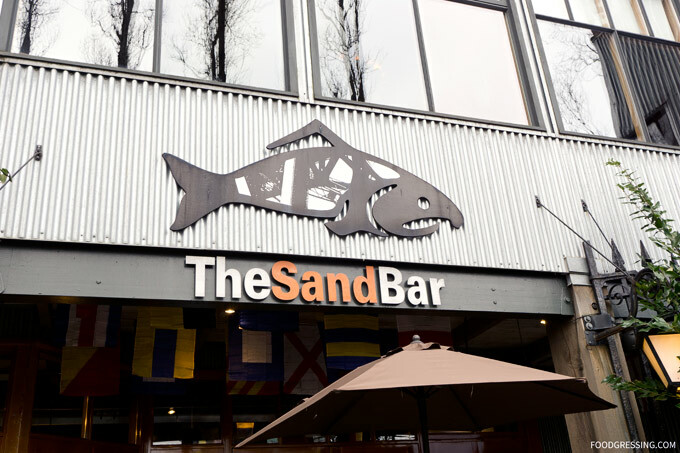 The Sandbar is a destination seafood hot spot located in the heart of Granville Island with majestic waterfront views. 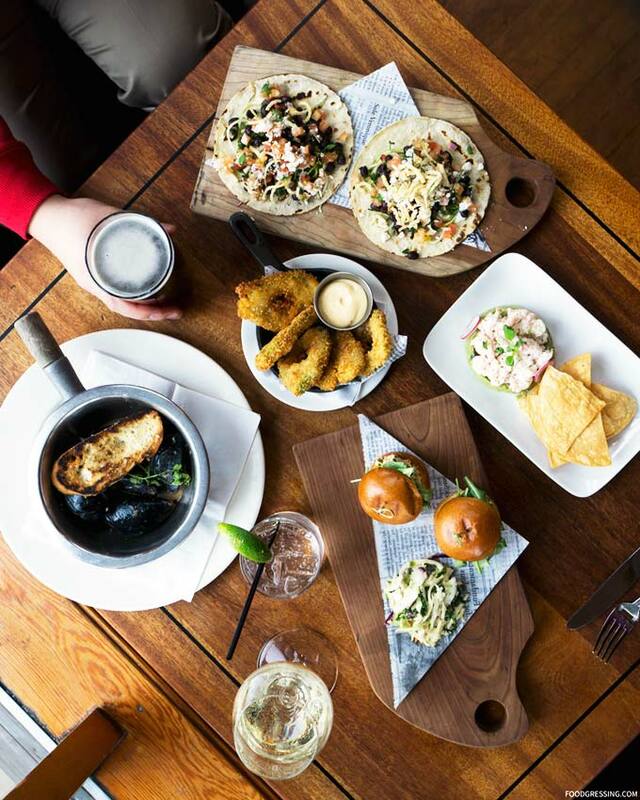 Last month, they launched their first-ever Happy Hour menu which is offered Monday to Friday 3 pm – 6 pm. 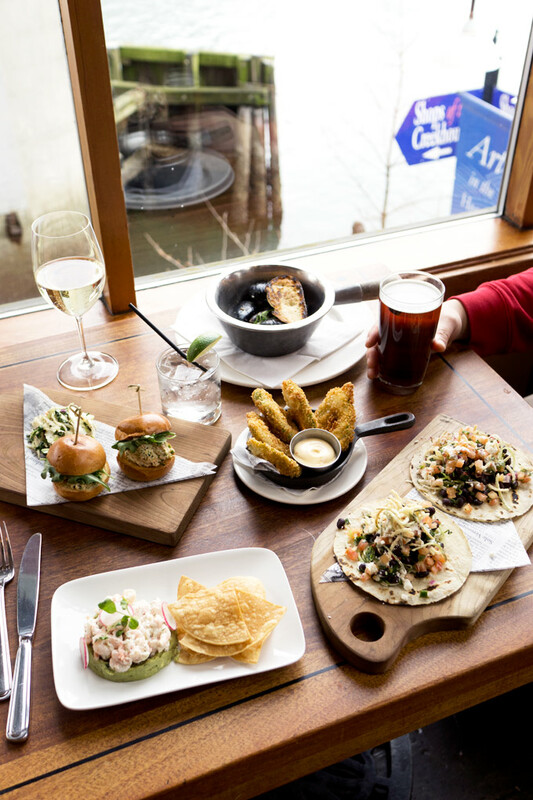 Available in the bar/lounge, you can enjoy Granville Island Beer, wine and highballs for $5 and delicious food items under $10. I was invited for a media tasting of the Happy Hour menu. Here’s a look at what you can expect. 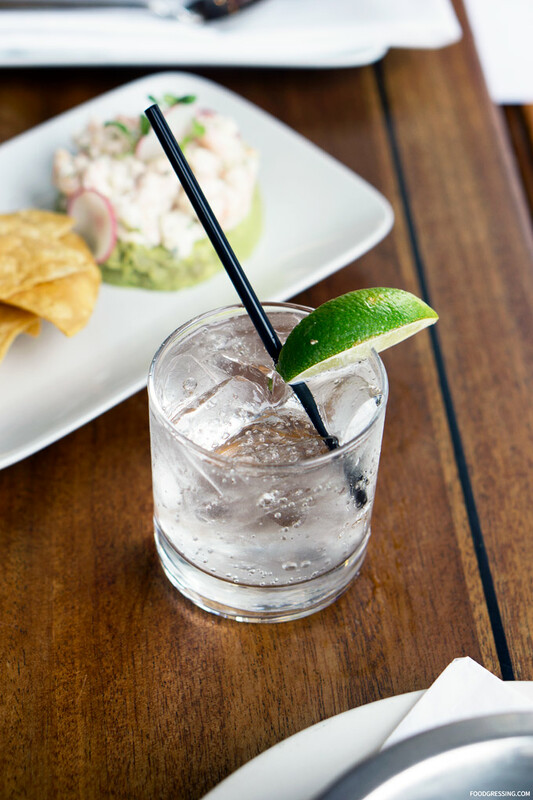 The Happy Hour menu features gluten-free, vegetarian as well as Oceanwise menu items. 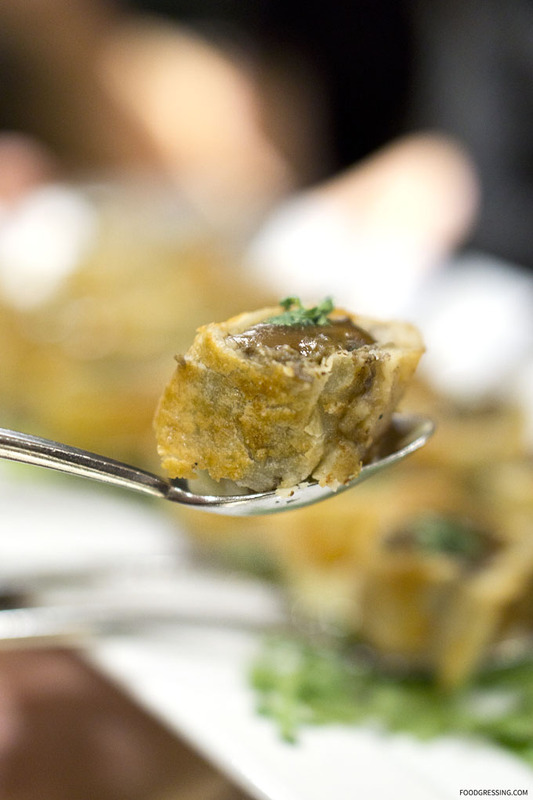 You’ll find smaller bites like avocado chips to larger items like the Chang Mai Wok Mussels. 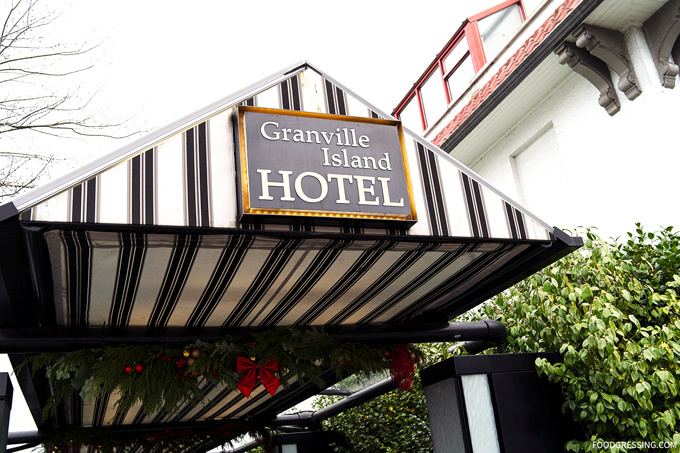 Granville Island pints, red or white wine, and highballs are $5 each. 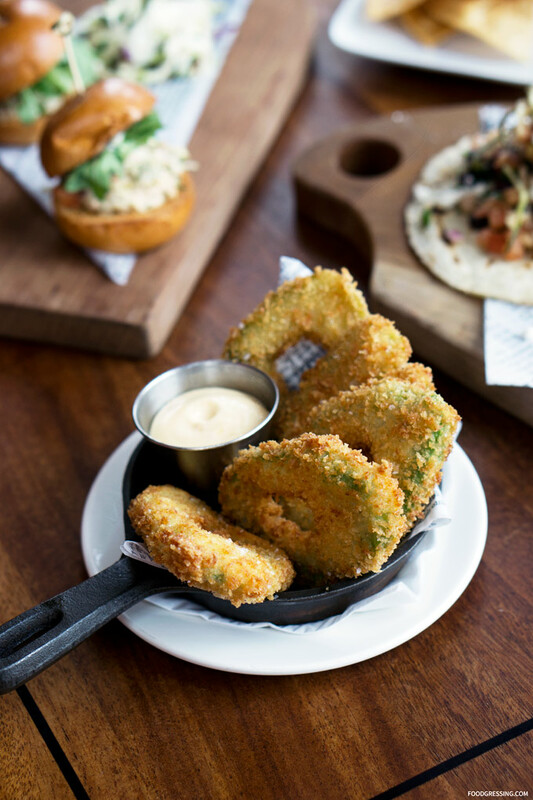 One must-try of the Happy Hour menu items are the deep-fried, panko-breaded avocado chips. 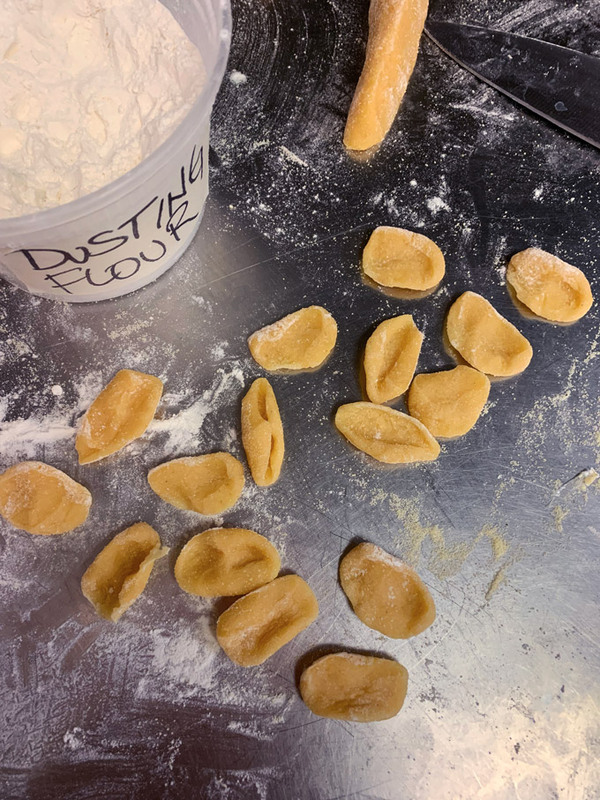 These were insanely delicious (and addictive!) and were particularly good with the chili-lime aioli. The golden panko breading was amazingly crispy. 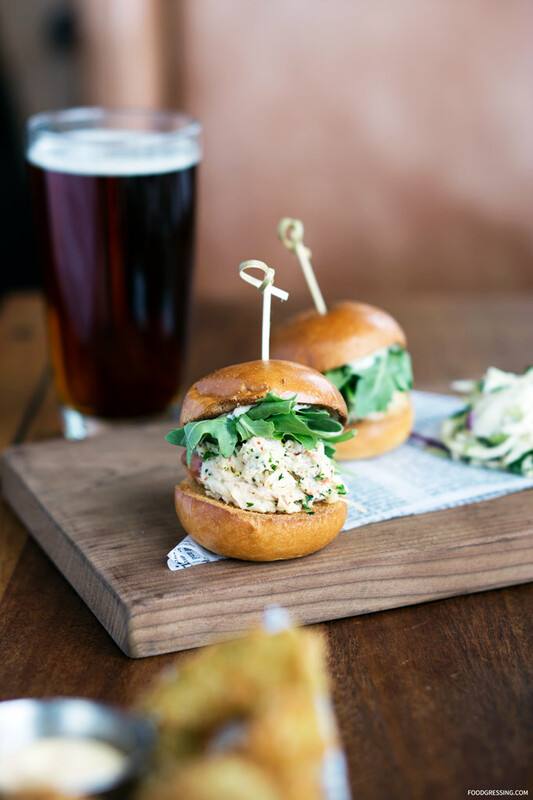 If you’re someone who enjoys sliders for Happy Hour, then the Brioche Lobster Slides are not to be missed. Oceanwise lobster come in a brioche bun with lettuce, red pepper, kale and cauliflower slaw. 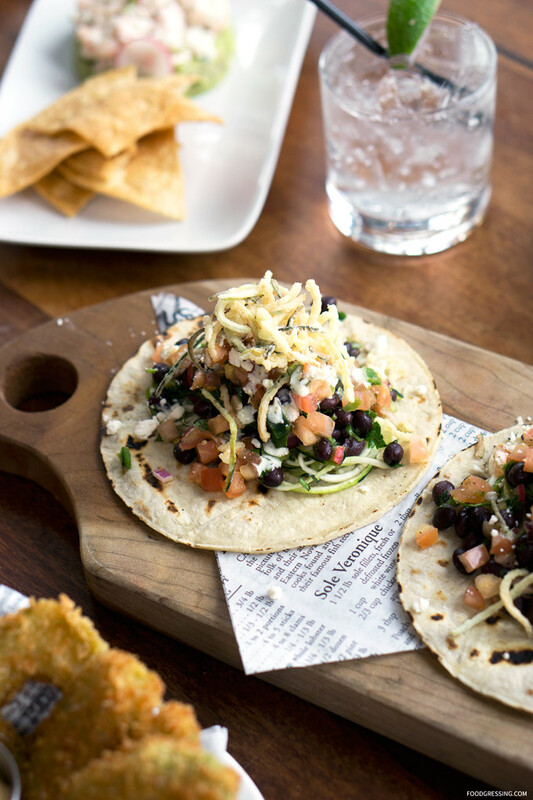 The tacos are a gluten-free and vegetarian option and come with black beans, salsa fresca, zucchini, feta cheese on a charred tortilla. 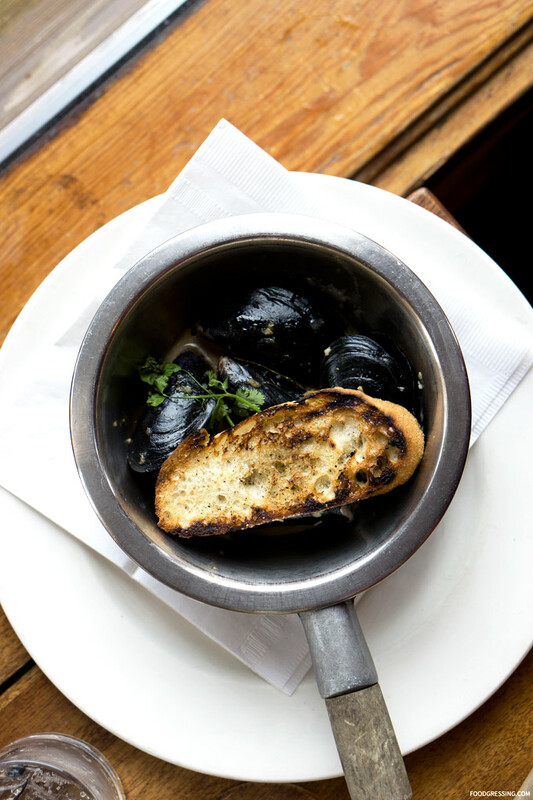 The Sandbar is known for their fresh seafood and the mussels did not disappoint. The Thai-inspired broth was very flavourful and had lemon grass, ginger, chili, garlic and coconut milk. For a bit of seafood and a bit of avocado, this item is a good option. 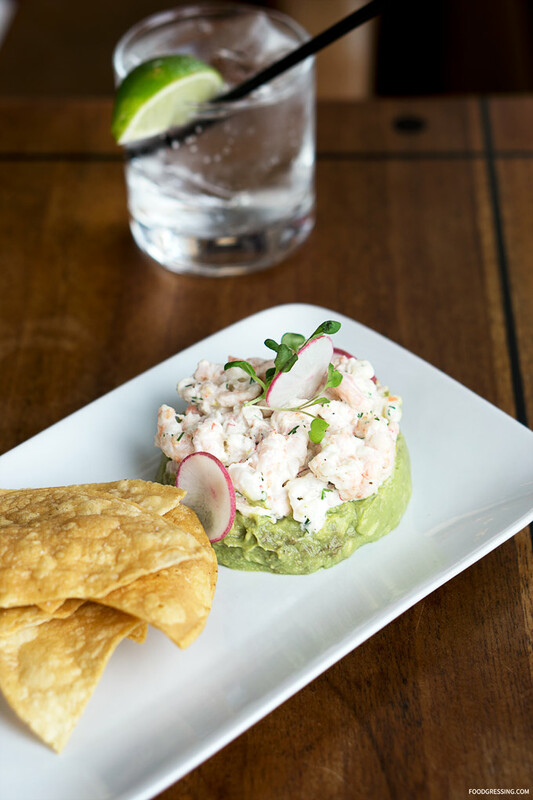 Smash avocado is topped with Oceanwise bay shrimp and comes with a side of housemade tortilla chips. I enjoyed this with White wine. 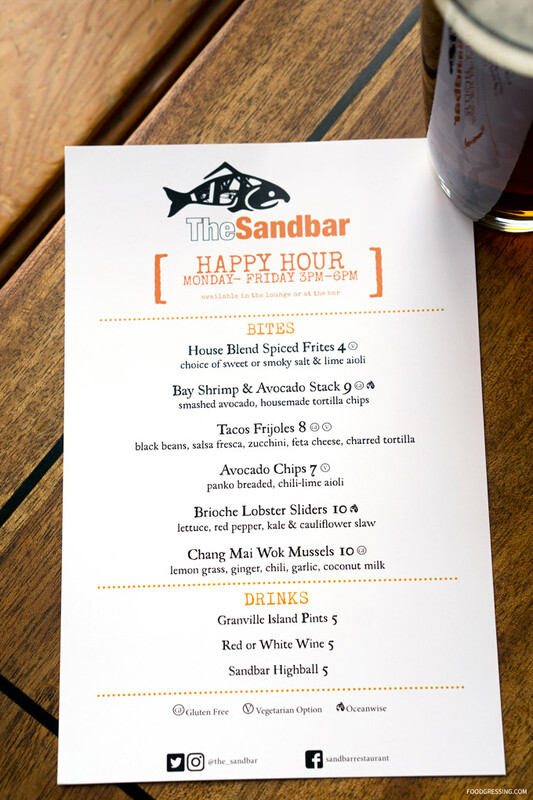 The Happy Hour menu at The Sandbar has some very delicious, affordable menu items with gluten-free, vegetarian and Oceanwise options. 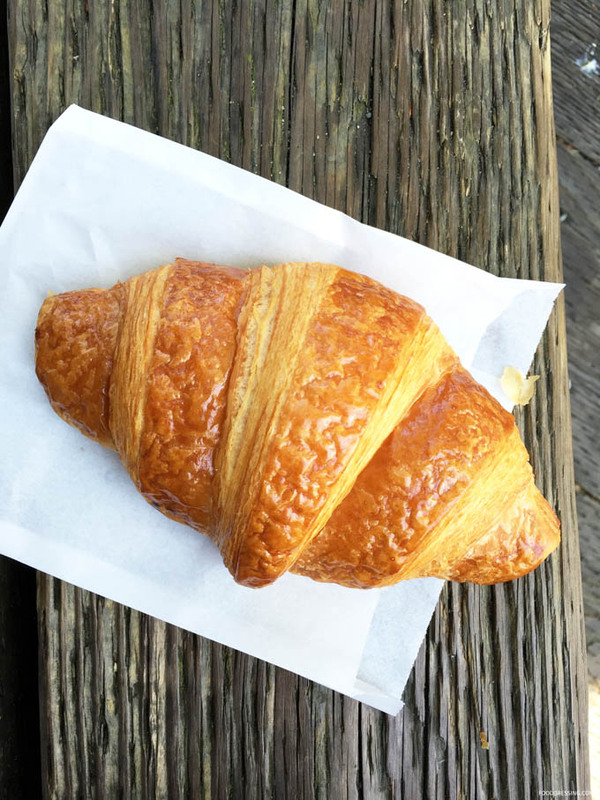 My top 3 items were the Avocado Chips, Brioche Lobster Sliders, and Chang Mai Wok Mussels. 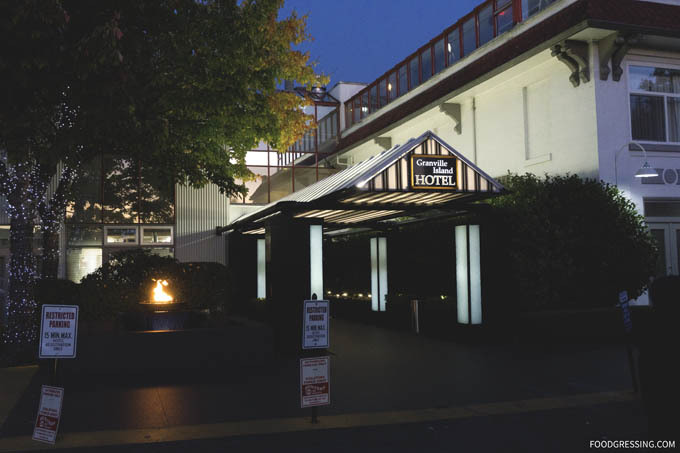 Dockside Restaurant on Granville Island has just unveiled a new fall dinner menu. 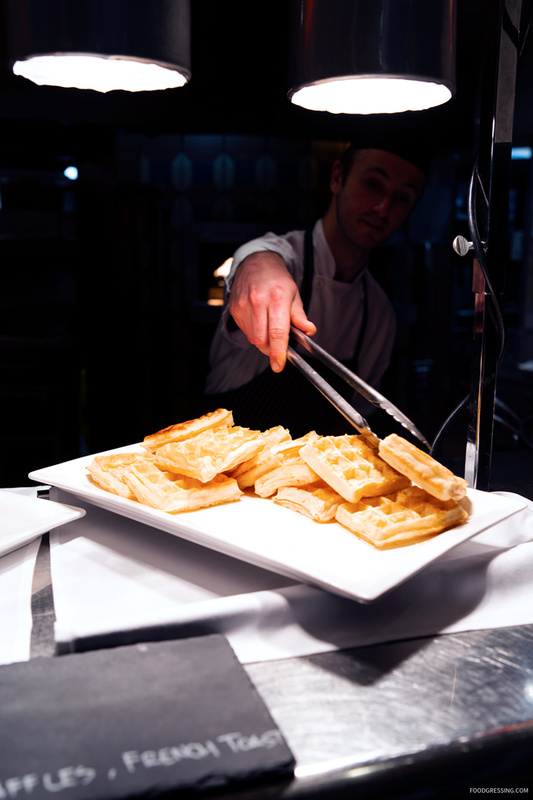 The culinary team at Dockside is led by Executive Chef Mark Crofton who arrived earlier this year. 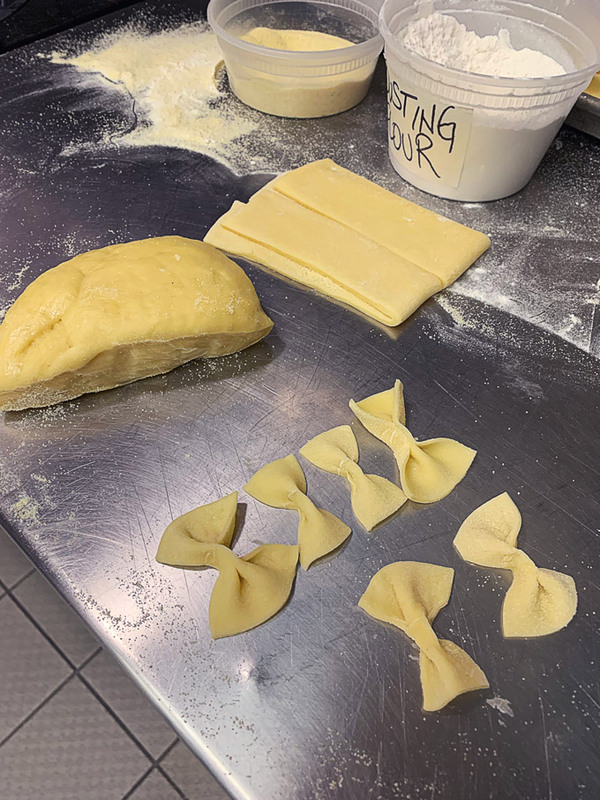 Since then, Chef Crofton has been hard at work refreshing the menus, updating Dockside favourites, and adding a number of inspired new creations. 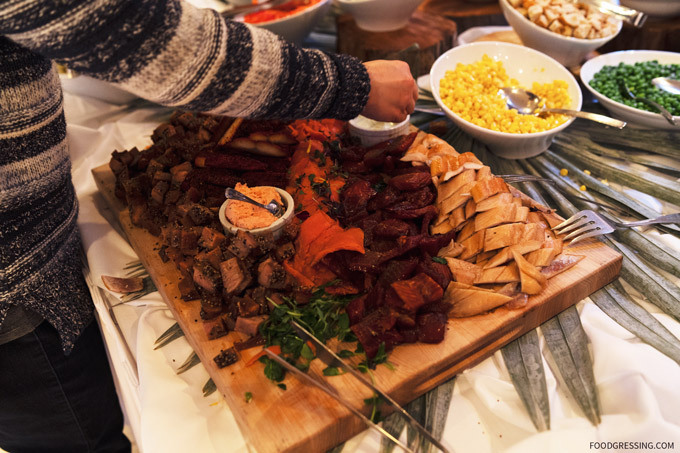 Last week, I had the opportunity to taste these dishes at a media event. 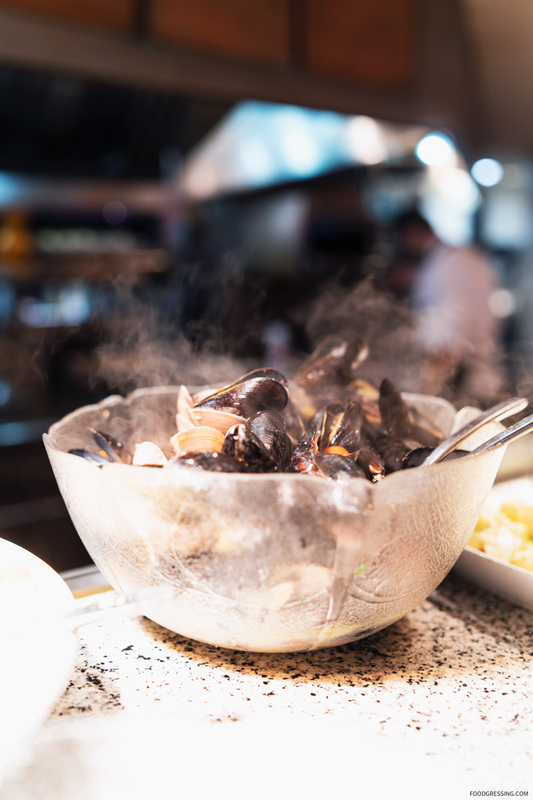 Here’s a look at the tantalising dinner menu at Dockside this season. There’s nothing like starting a fall-inspired dinner with a hearty and nourishing salad. And Dockside has two new salads that fit just that. 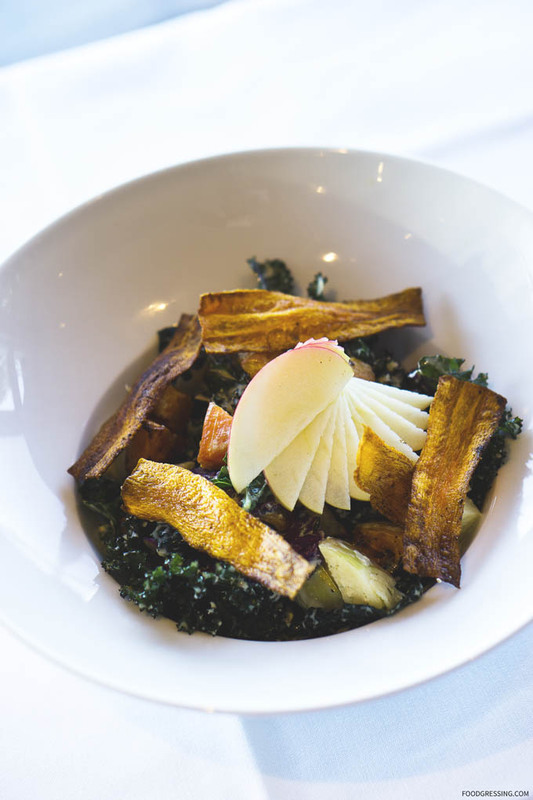 The Warm Fall Harvest Kale Salad ($18) is a slightly heated salad featuring locally sourced seasonal greens (roasted root vegetables, and Okanagan honey crisp apples) with a buttermilk dressing and grana padano. I really enjoyed the bit of sweetness added from the apple slices. 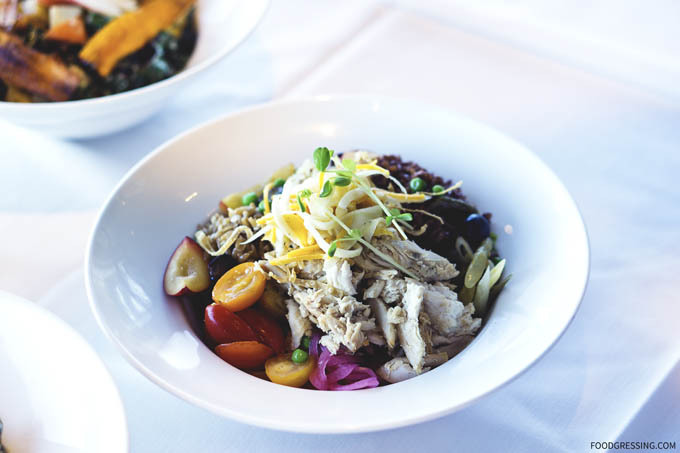 The Super Food Buddha Bowl ($18) is perfect for those looking for something hearty. 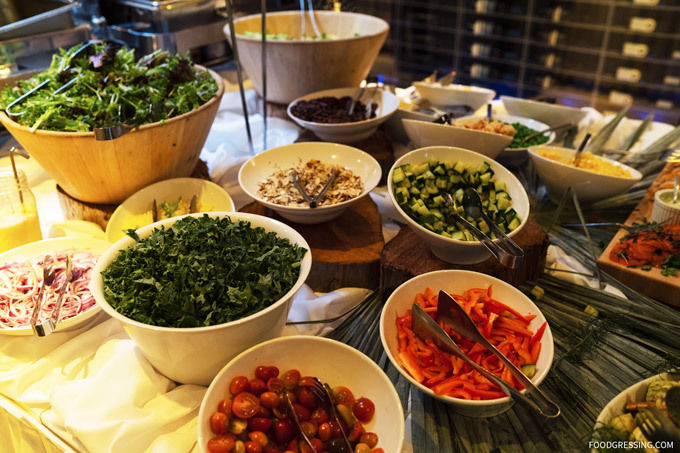 This salad is made with organic quinoa, farro, wehani rice, house-pickled vegetables, heirloom tomatoes, romaine hearts, and citrus vinaigrette. The slightly chewy and nutty flavour of the wehani rice really appealed to me. 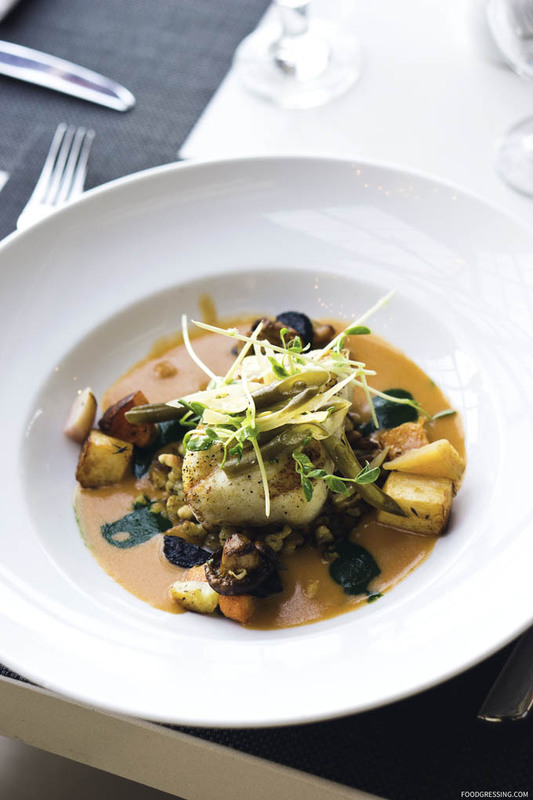 One of the most popular dishes at Dockside is the Ocean Wise Grilled Haida Gwaii Halibut ($36). 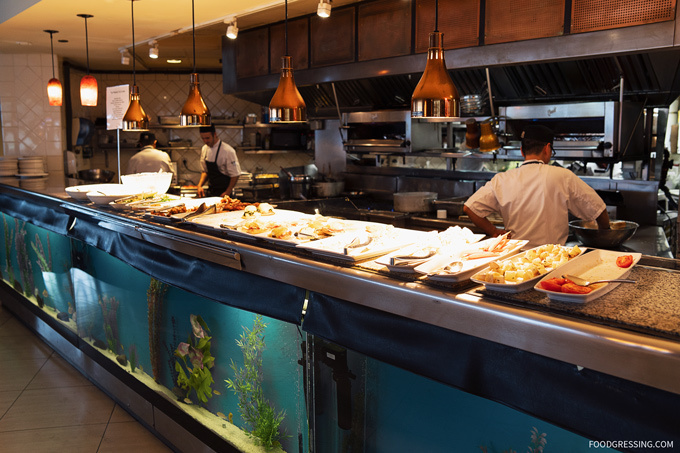 As a lover of halibut dinner entrees, Dockside’s dish really hits the spot. The lusciously, tender and flaky halibut also had lemon-herb spaetzle, dungeness crab bisque, house pickled and roasted organic vegetables. Another seafood option at Dockside is the Ocean Wise Forno Roasted Salmon ($33). 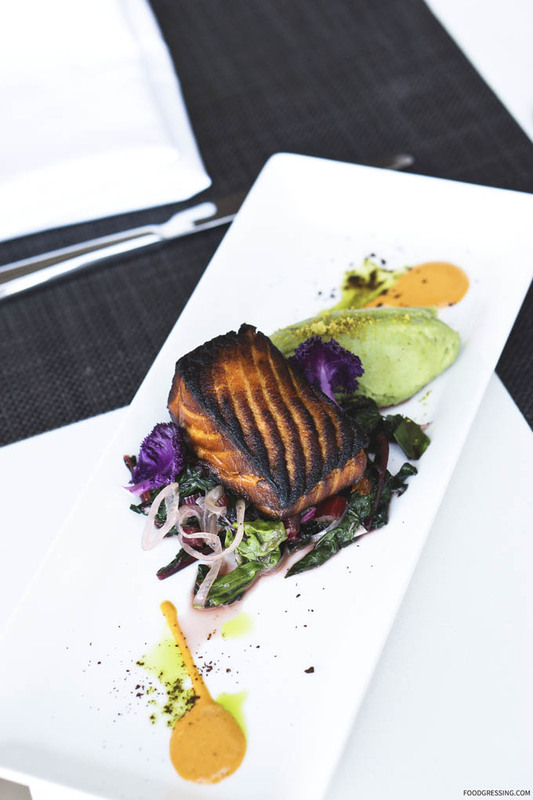 The salmon is lemongrass-soy marinated and came with pistachio mash, bell pepper aioli, and seasonal organic vegetables. 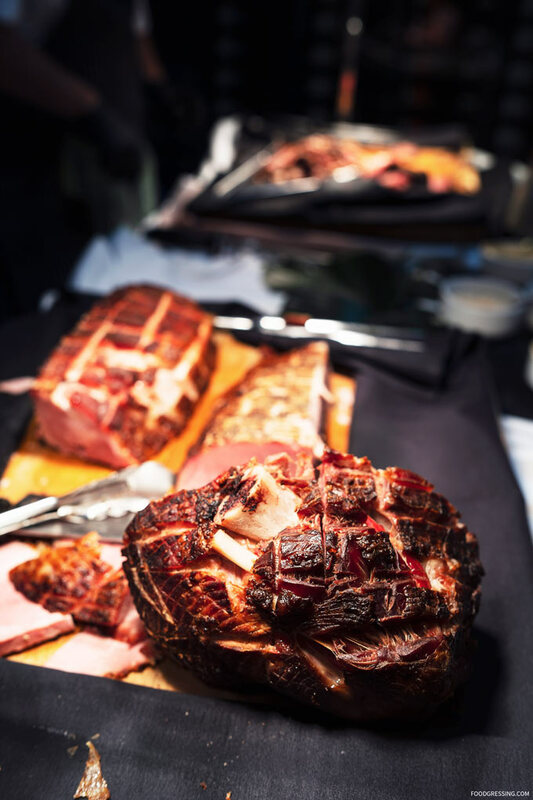 Although Dockside is known for their seafood, they have some fantastic meat options to satisfy the meat lover. 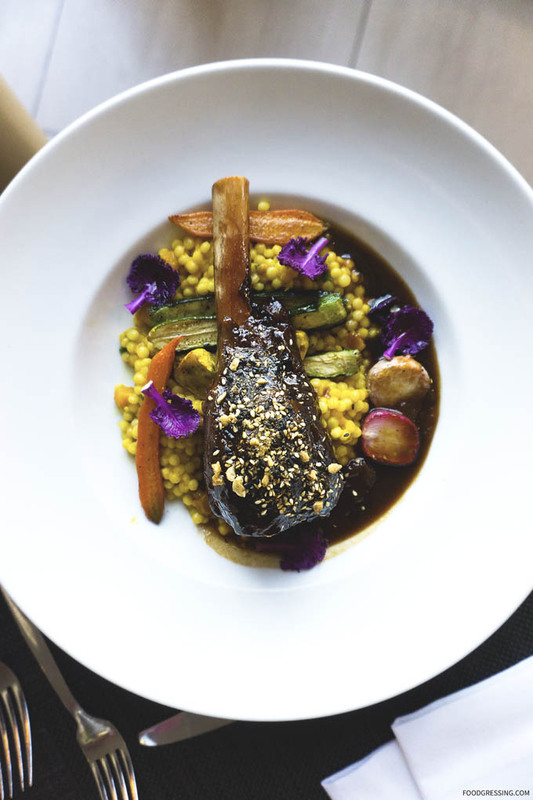 The Braised Lamb Shank ($34) was tender, juicy and succulent; it left me lingering for more. I loved the pearl cous cous which added a fun texture of the dish. The dish also featured butternut squash, Okanagan plum jus, dukkah, and seasonal organic vegetables. 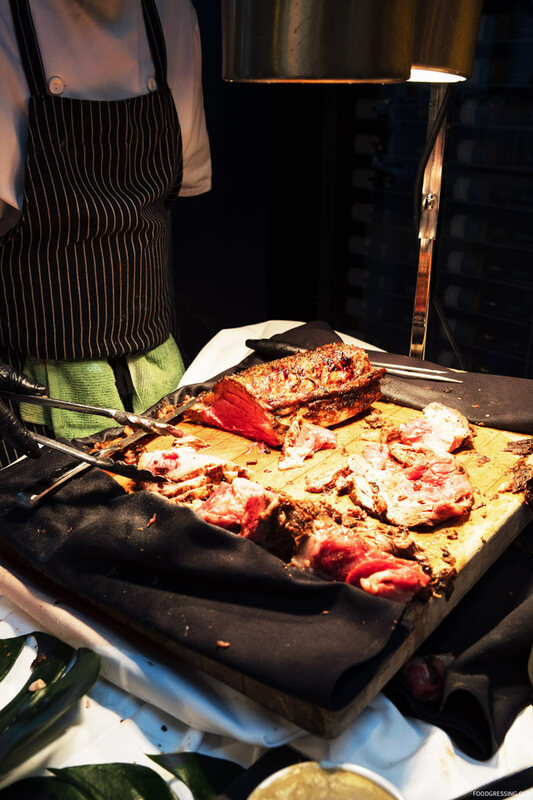 The Two Rivers Meats Grilled Beef Tenderloin (6oz) ($36) is also another solid meat option. The AAA beef was rich in flavour and very tender and juicy as well. 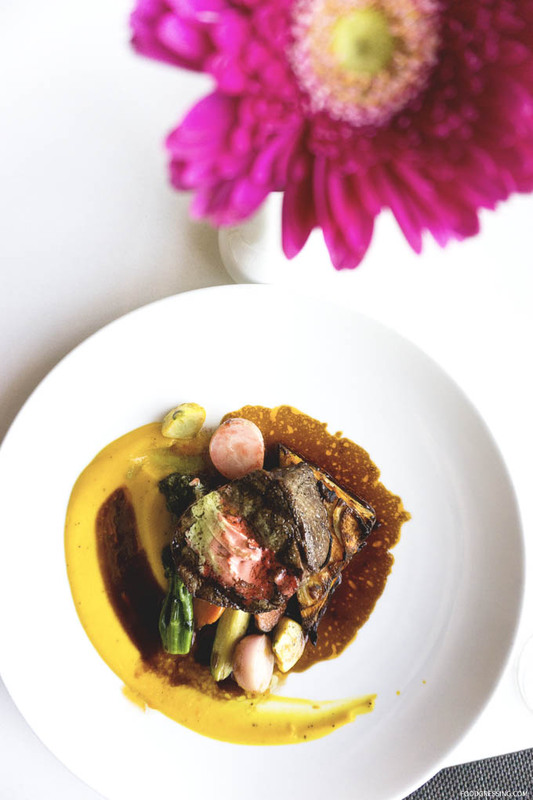 Also on the dish were potato yam pavé, butternut squash purée, red wine thyme jus, seasonal organic vegetables, and preserved cherry-basil compound butter. 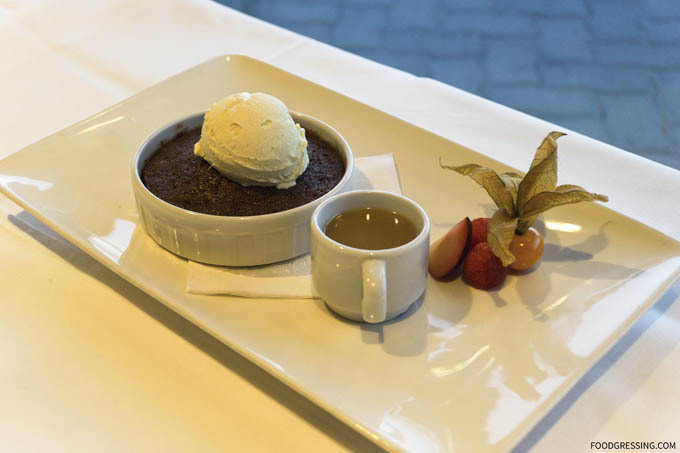 The Sticky Toffee Pudding ($12) is not to be missed. The pudding itself was rich, dense and moist and went well with the ginger gelato. The spiced caramel sauce was indulgent and very satisfying. 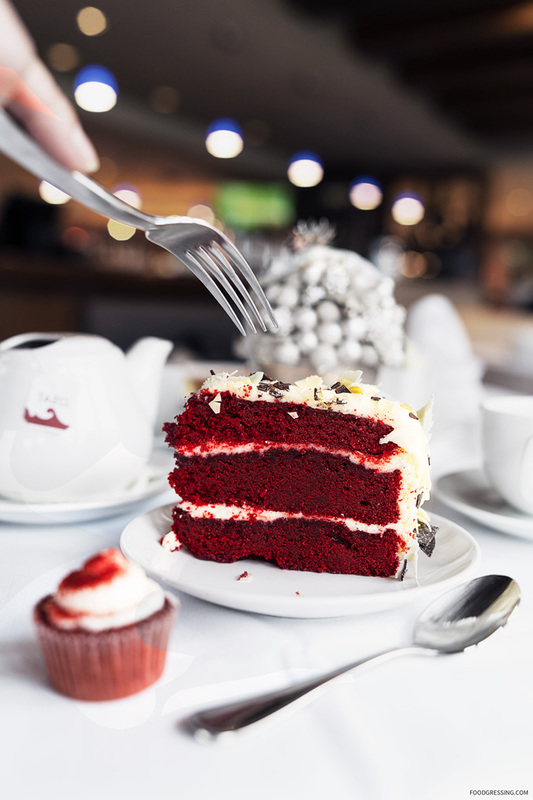 It’s the kind of dessert that warms the soul. As a lover of coconut desserts, the gluten free Coconut Milk Cheesecake ($12) was something that I wish I didn’t have to share with others! 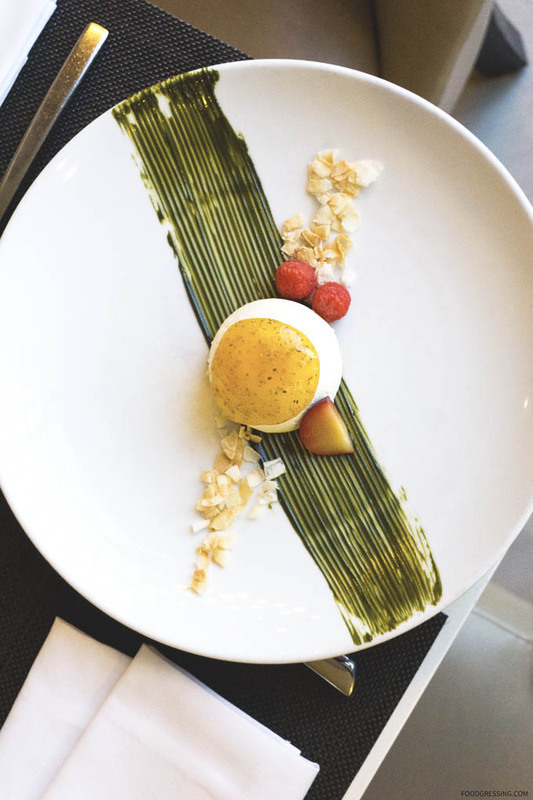 The dessert also has passion fruit chia seed glaze, honey toasted nuts and candied coconut chips. This is Dockside’s unique signature cheesecake which I can attest to be ultra silky and soft. Heaven, I tell you. My ideal three-course meal would be the Warm Fall Harvest Kale Salad, Ocean Wise Grilled Haida Gwaii Halibu and Coconut Milk Cheesecake. 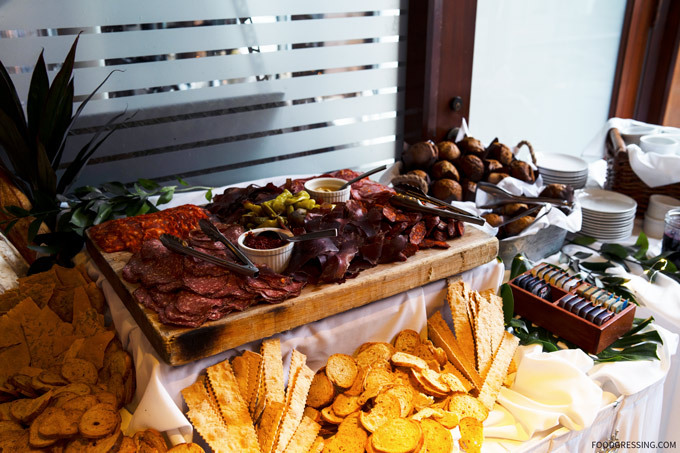 Dockside Restaurant has some mouthwatering features this fall. 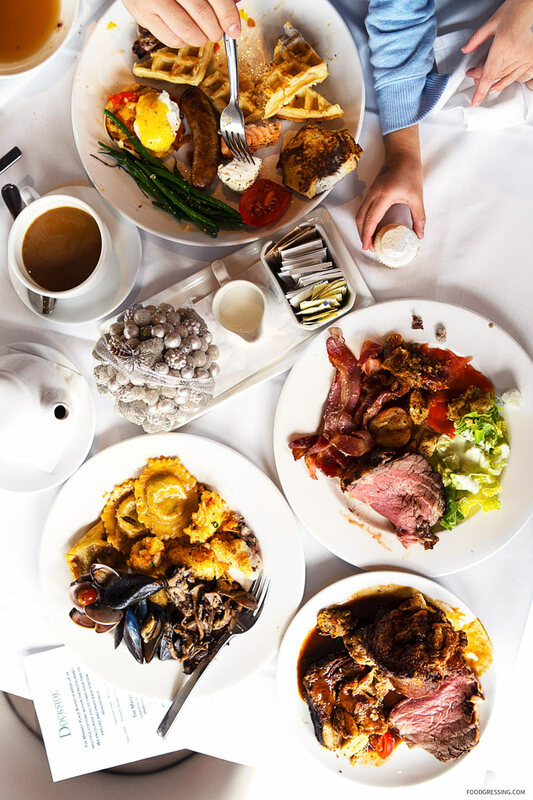 Bring your family and friends to Dockside this season for dinner – you won’t be disappointed. Visit www.docksidevancouver.com/menu/dinner-menu/ to find out more. 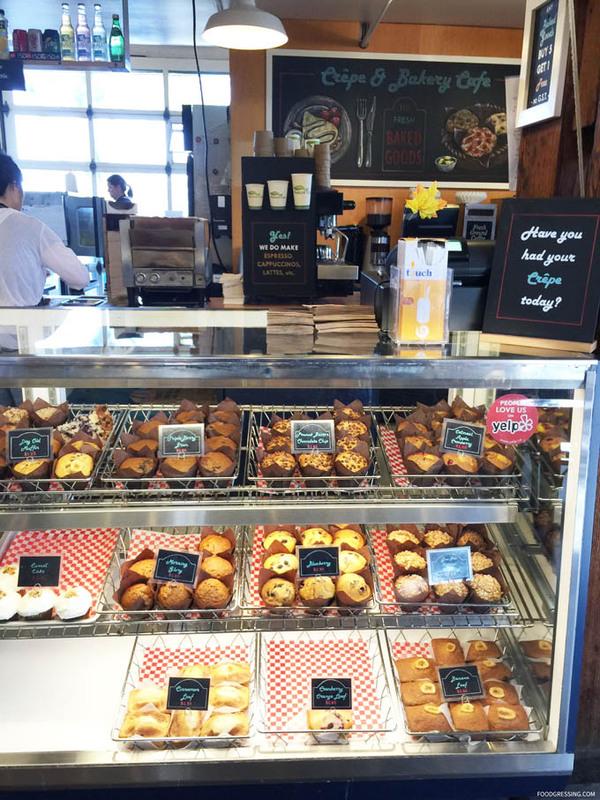 One of the longstanding vendors in the Granville Island Public Market is Muffin Granny. 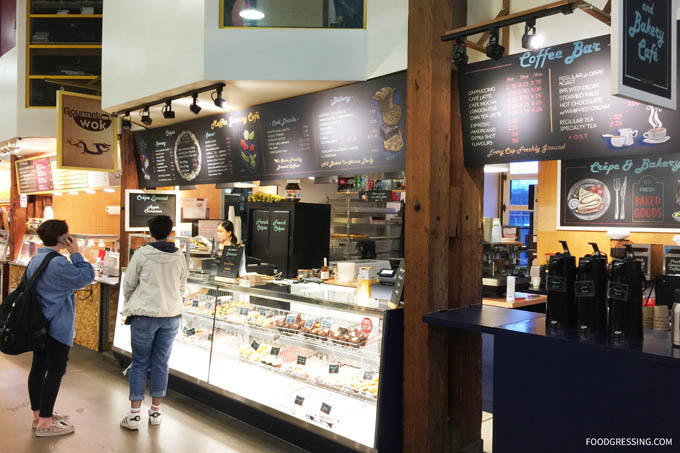 Located in the “food hall” of the public market, Muffin Granny offers a selection of muffins, scrumpets, cookies as well as serves coffee and tea. 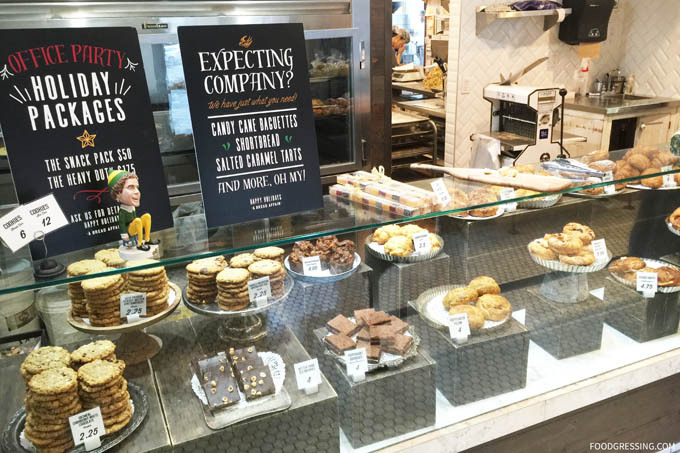 Compared to Terra Breads located a few stalls down, I would characterize Muffin Granny’s selection of food more conventional. 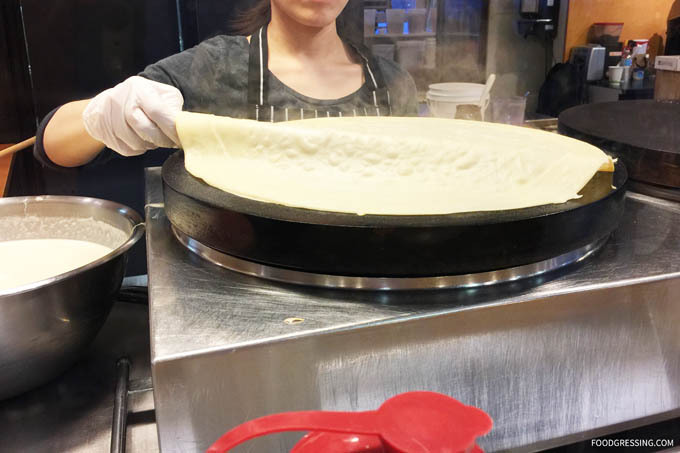 They are also the market’s only creperie as they offer made-to-order sweet and savoury crepes. 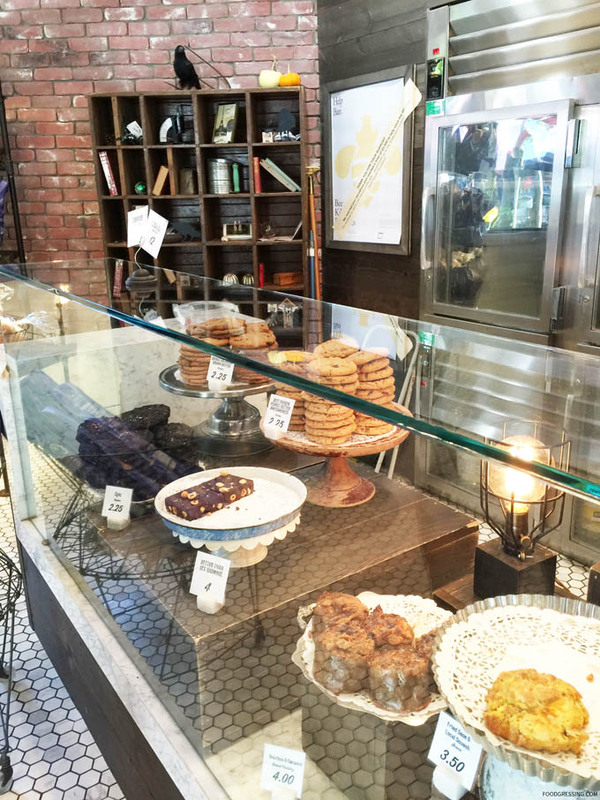 The only thing I have tried from Muffin Granny was a large almond cookie. 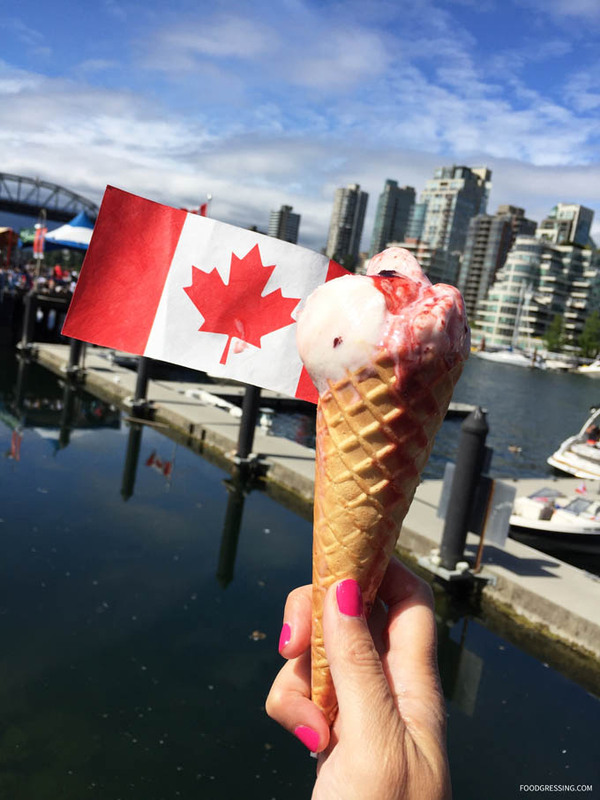 It was simply a treat that I got for my son while we were hanging out on Granville Island. 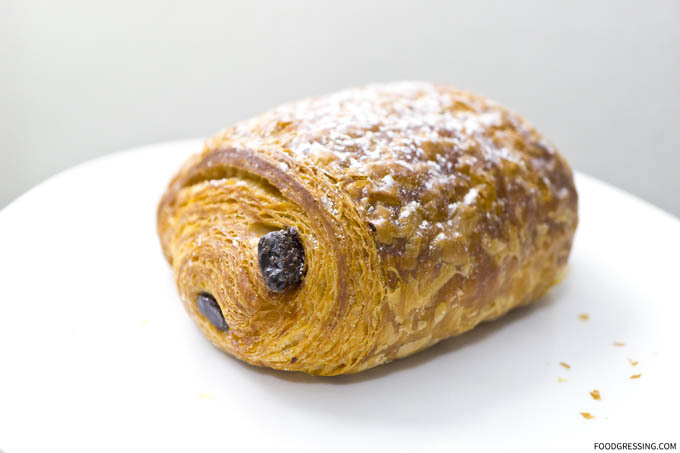 I was drawn to it because of the almond shavings on top which looked delicious. The cookie tasted pretty good, not overly sweet and had some nice nutty flavours though overall nothing to write home about. 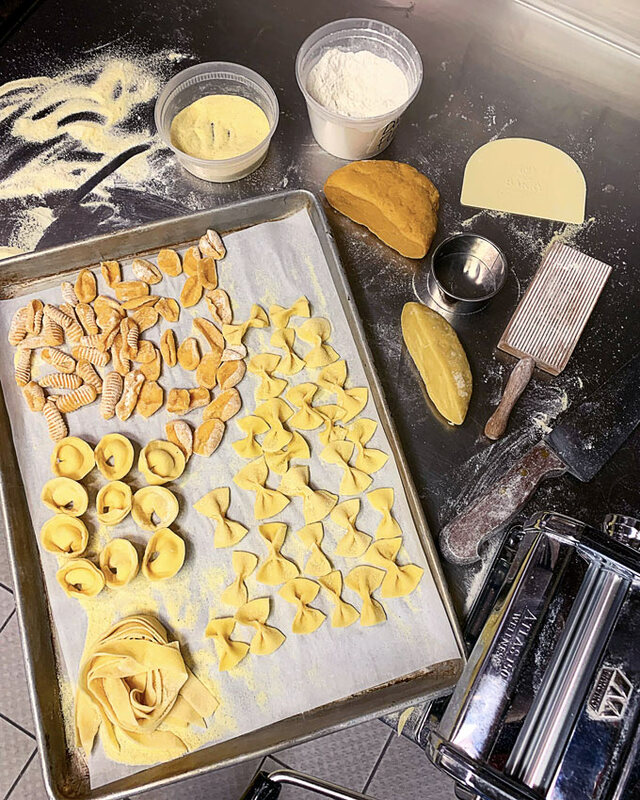 Dine Out Vancouver 2017 is just right around the corner featuring 280+ restaurants this year. 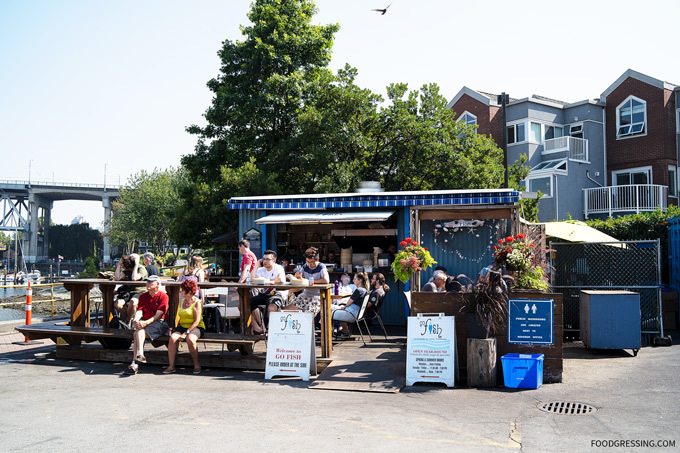 One of the participating restaurants is the Vancouver Fish Company on Granville Island. 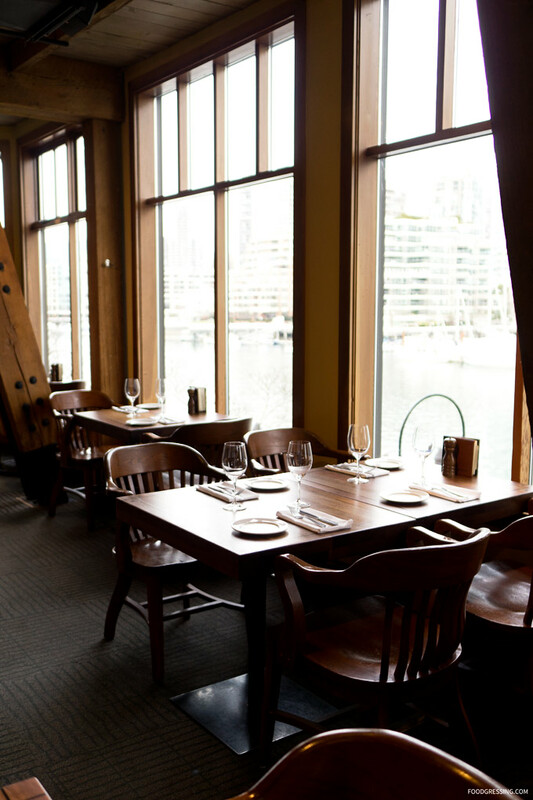 With stunning waterfront views, the Vancouver Fish Company is offering both lunch ($29) and dinner ($40) Dine Out menus. 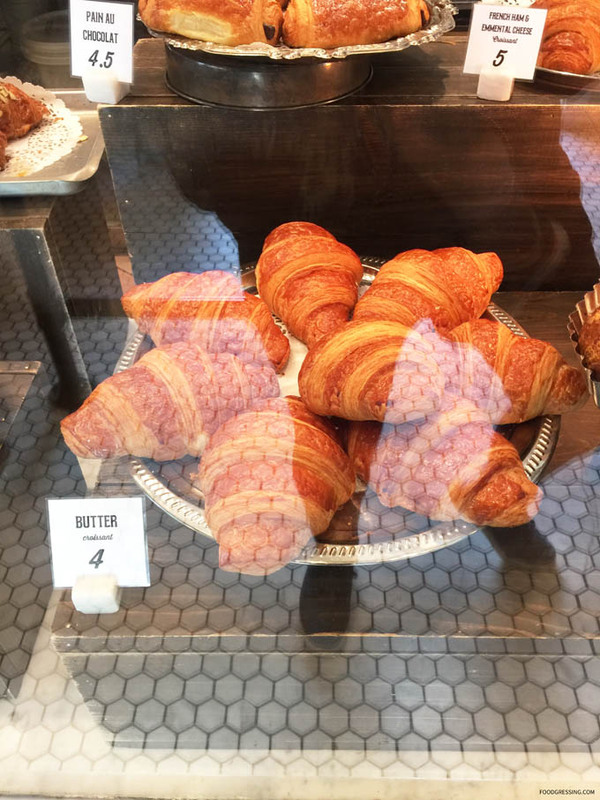 Last week, I attended a media preview of what they will be offering. Disclosure: I was invited to a media event. All food in this review was complimentary. 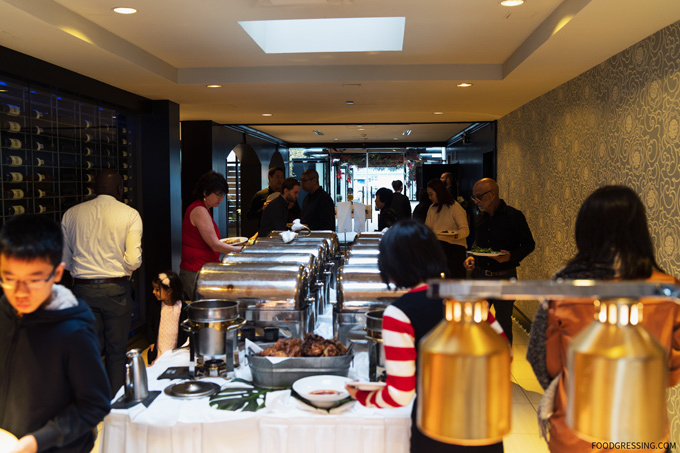 I was provided samples of the dishes to try. Photos are of the full-sized version. 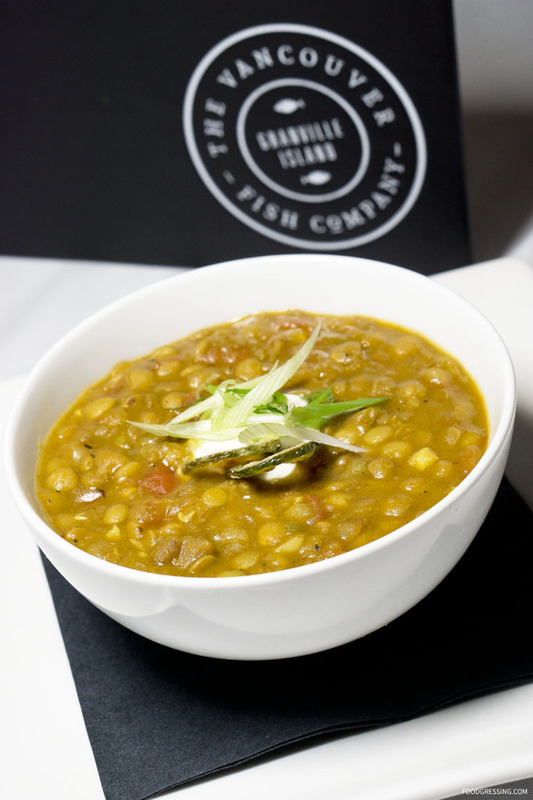 To start, we tried the Lentil Soup, a vegan and gluten-free starter, which is offered only on the lunch Dine Out menu. It was a hearty soup with organic red lentils and garam masala cream sauce. 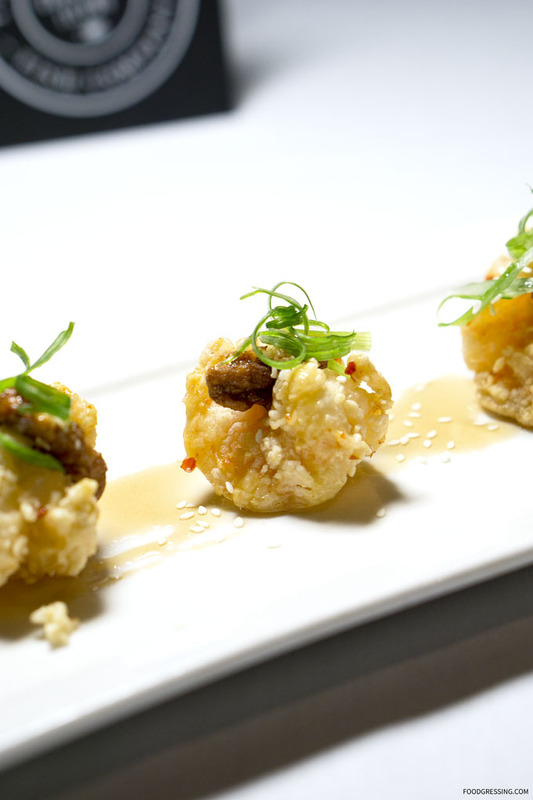 The Maple Walnut Prawns are offered both for lunch and dinner. The prawns were lightly fried with garnished with maple spiced walnuts and sesame. 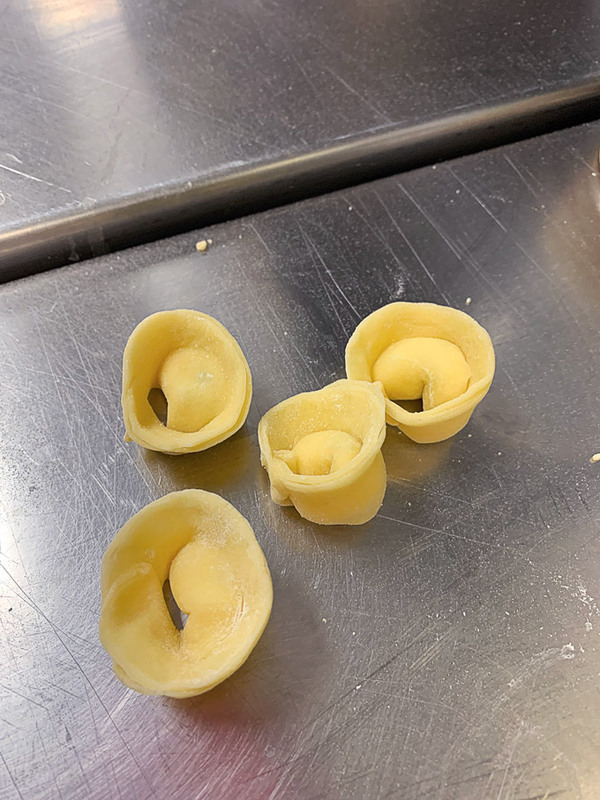 This is more of a bite-size appetizer consisting of 3 pieces. 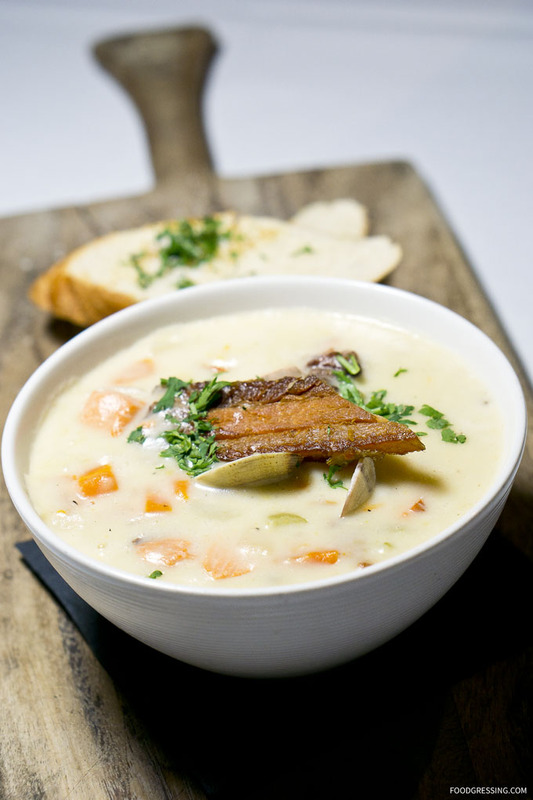 Available on the dinner menu only is the signature VFC Chowder. It was a creamy bowl of fresh seafood, fresh clams, thyme cream, and bacon. The Thai Chicken Curry definitely had some heat to tickle the taste buds. 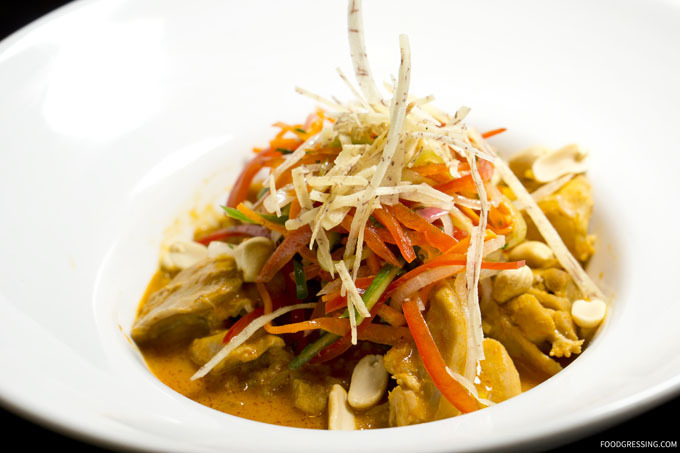 It was a spicy and aromatic dish of braised chicken, scented basmati rice, coconut curry, julienne vegetables, and roasted peanuts. I thought it was an interesting choice to have this on the menu as it didn’t seem very seafood-centric. Available both lunch and dinner. 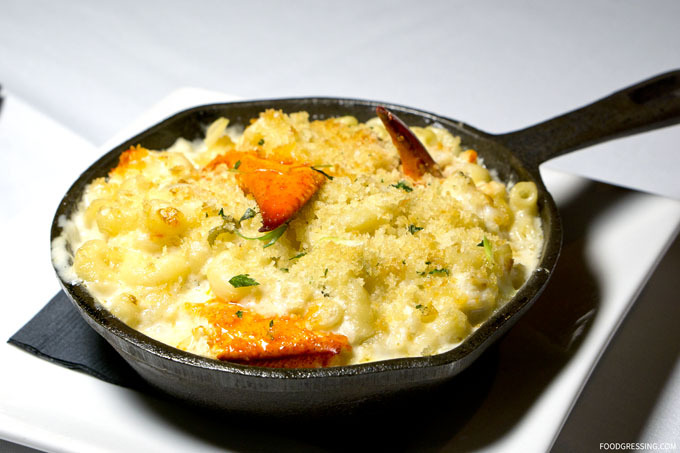 The Lobster Mac’n’Cheese was my favourite entree – a luscious baked lobster casserole with creamy cheddar and bread crumbs. A comfort food sort-of-dish which is great on a cold evening. Available both lunch and dinner. 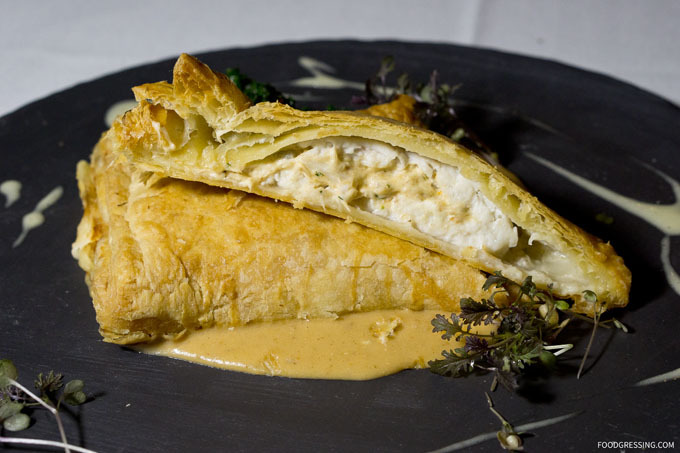 Only offered for lunch is the Crab-stuffed Sole Wellington consisting of fresh Sole, crab meat, cream cheese, puff pastry, braised kale and lobster bisque. Unfortunately, it was the least favourite of the entrees I tried. I thought the texture was just too mushy to be appetizing. 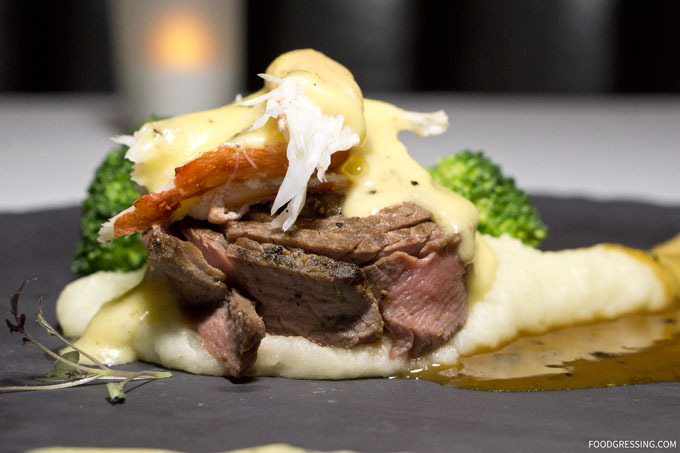 The Steak oscar (only on the dinner menu) had seared skirt steak, crab meat, baby shrimp, hannah brook farm vegetables, garlic confit mashed potatoes, bernaise, and peppercorn jus. It was juicy, tender and a solid option for those steak lovers. The first of two dessert options is the Apple Bread Pudding. 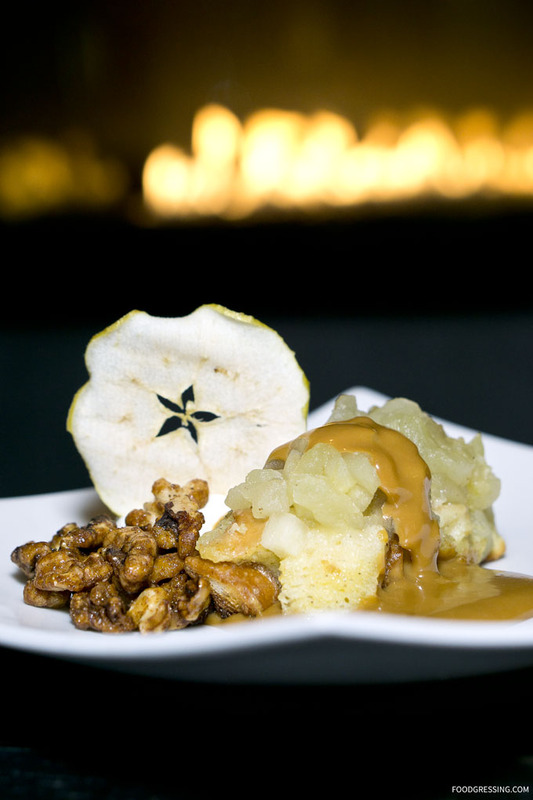 Another comforting kind of finish to a meal as the bread pudding is warm with caramel sauce and spiced walnuts. 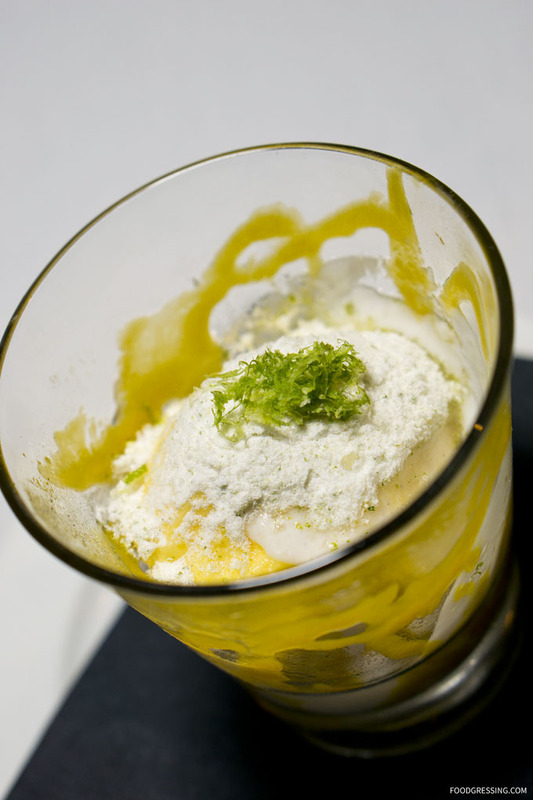 The Mango Sorbet with coconut cream and lime was less interesting to me than the Apple Bread Pudding. 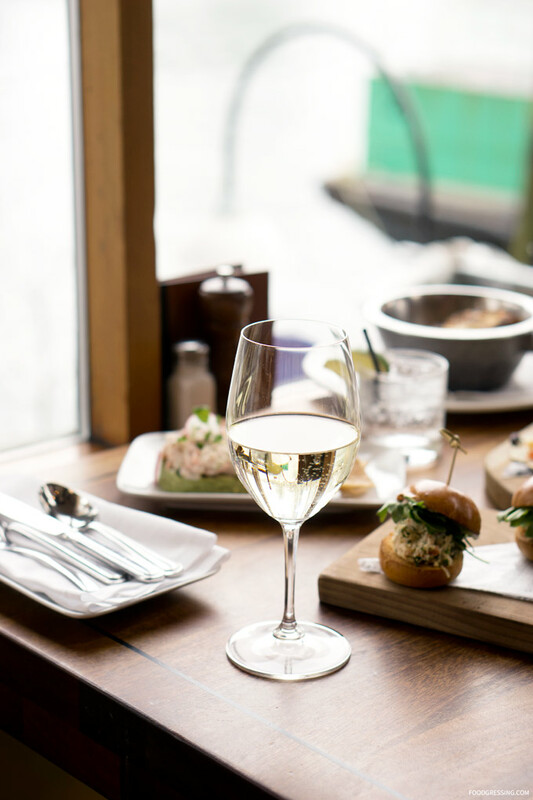 Dine Out Vancouver 2017 is just right around the corner featuring 280+ restaurants this year. 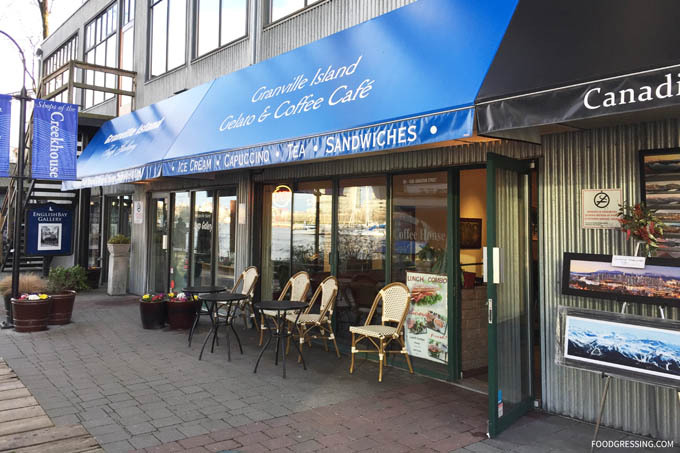 One of the participating restaurants is Dockside Restaurant located inside the boutique Granville Island Hotel. 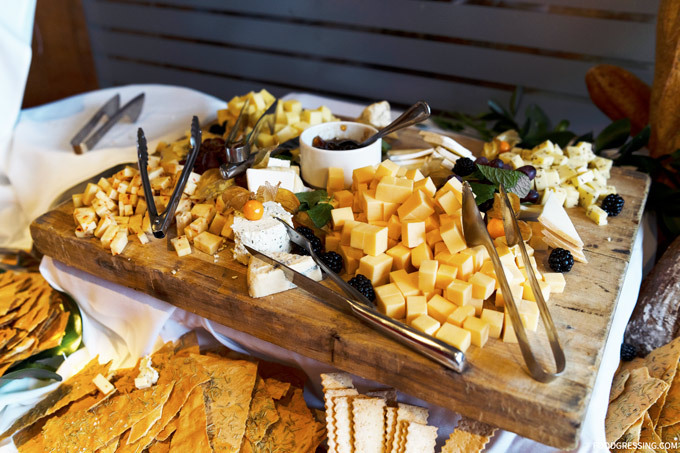 With stunning waterfront views, Dockside Restaurant is offering a $40 three course dinner menu for Dine Out. 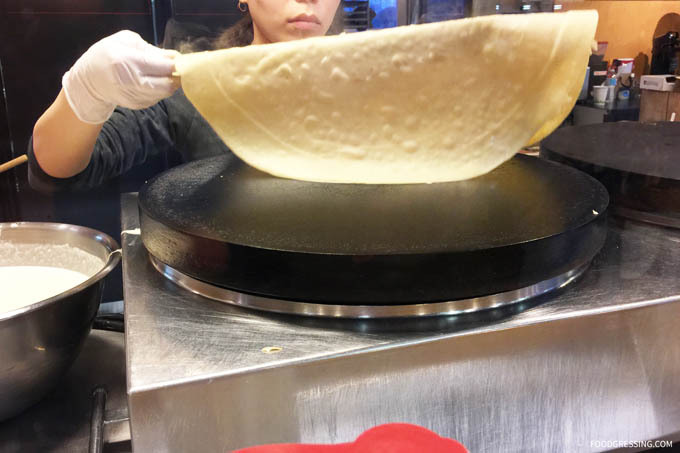 Last week, I attended a media preview of their Dine Out 2017 menu. 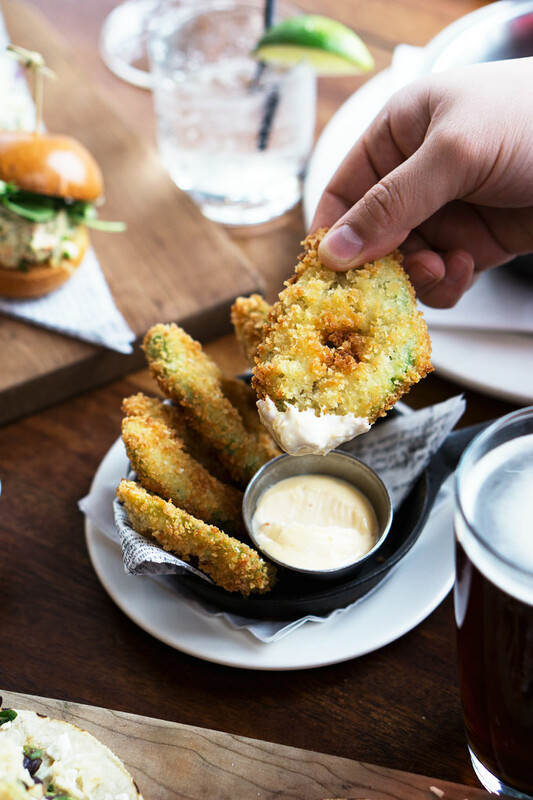 Dockside is offering three tantalizing appetizer choices: Dockside Crab & Shrimp Cakes, Duck Prosciutto Tart, and a Winter Green Salad. 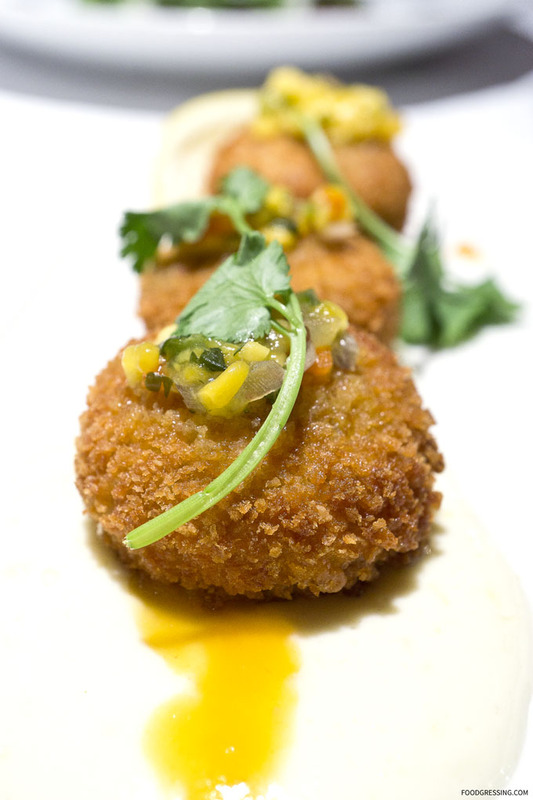 The Crab and Shrimp Cakes were scrumptious with a lovely crispy outer shell and a tender, moist filling. 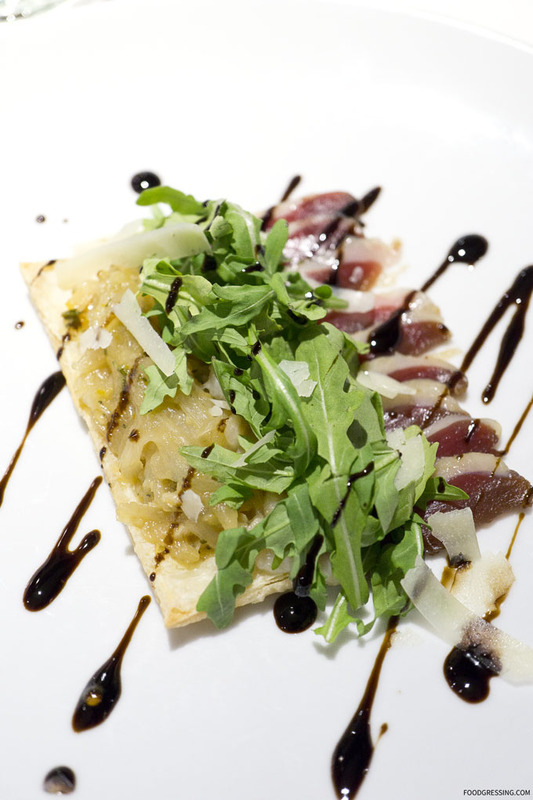 For those who prefer a more “raw” appetizer, I quite enjoyed the Duck Prosciutto Tart which had balanced flavours and a firm yet silky texture for the prosciutto. 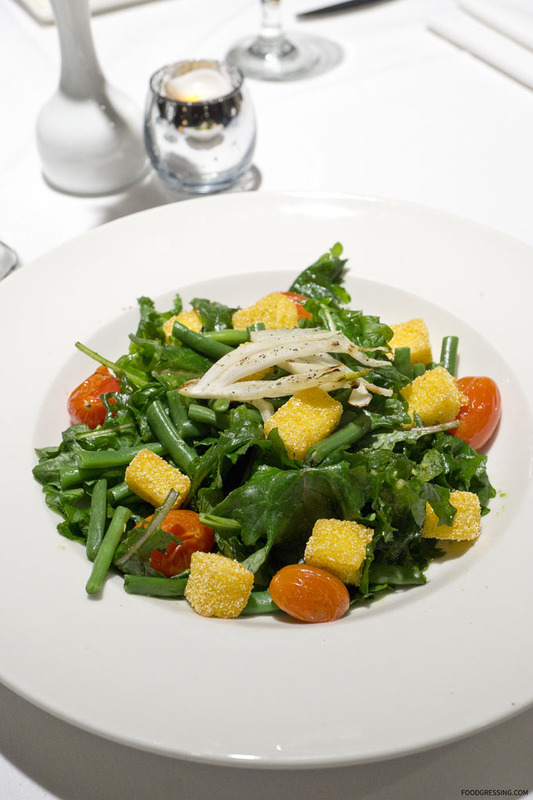 The Winter Green Salad would best be enjoyed by those seeking a more light and refreshing starter. 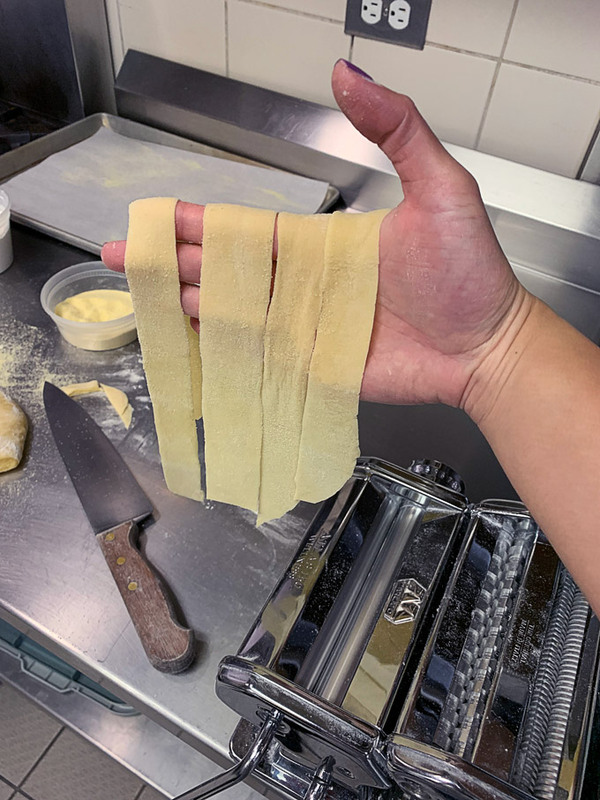 For mains, diners can choose from one of three options: Linguini Vongole, Roasted Zucchini and Beef Wellington. 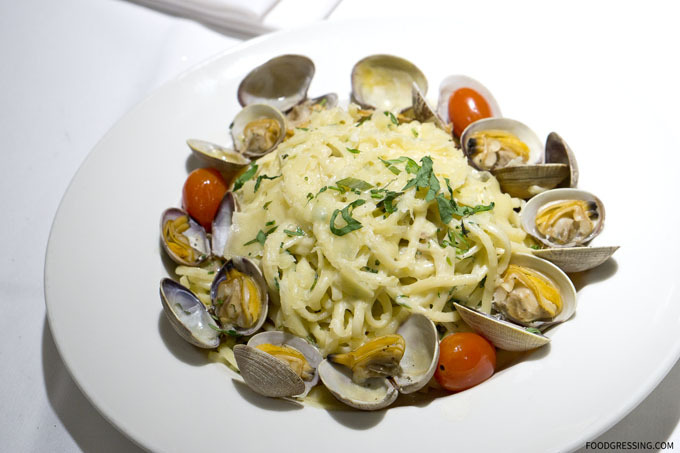 The Linguini Vongole was a tasty, cream and cheesy pasta with manila clams. I liked the arrangement of the clams around the pasta. 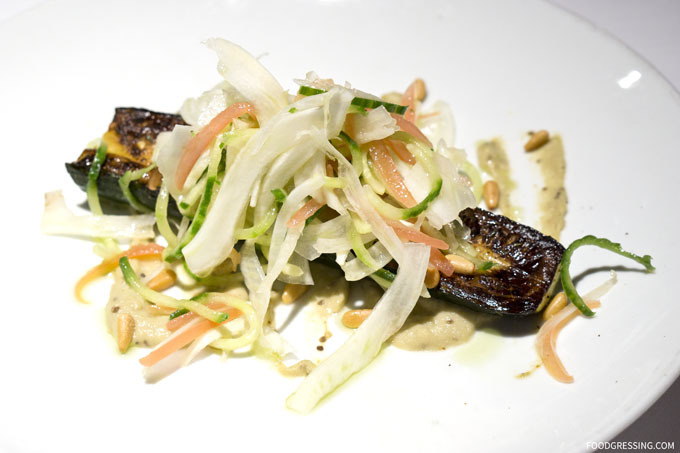 The Roasted Zucchini with eggplant puree, cucumber and fennel salad with toasted pine nuts was solid vegetarian option. 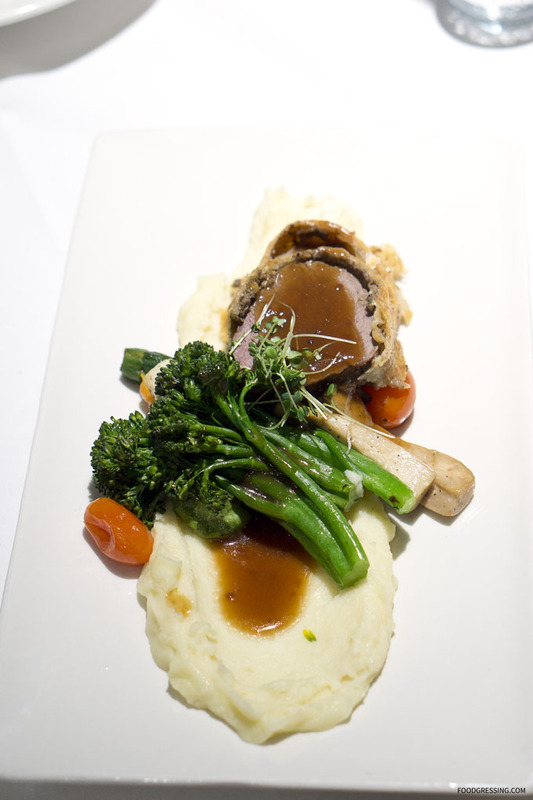 My favourite of the three was the juicy and tender Beef Wellington with truffle mash potatoes, market vegetables and red wine jus. 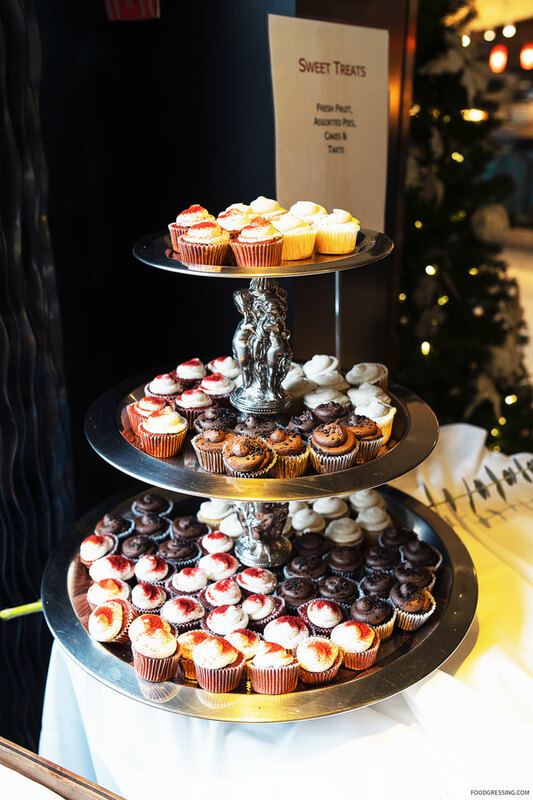 Last but not least, the desserts! 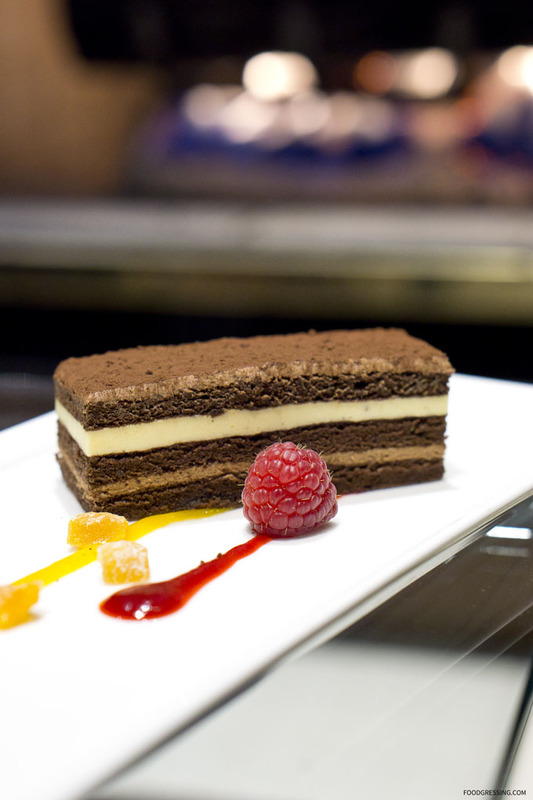 Choose from the Panna Cotta or Chocolate and Apricot Mousse Layer Cake. 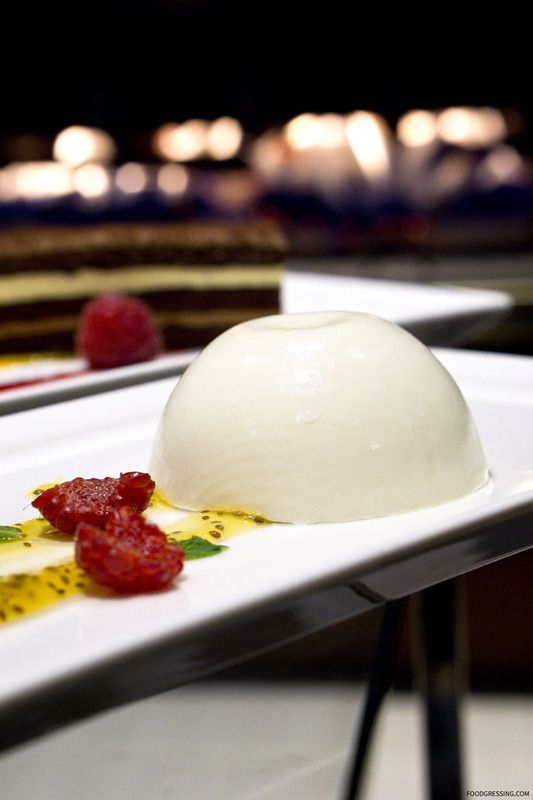 The Panna Cotta was creamy, silky smooth, but firm and just slightly wobbly. However, my choice would have to Chocolate and Apricot Mousse Layer Cake with apricot puree and fresh berries. It had a nice mix of chocolate and fruity flavours. 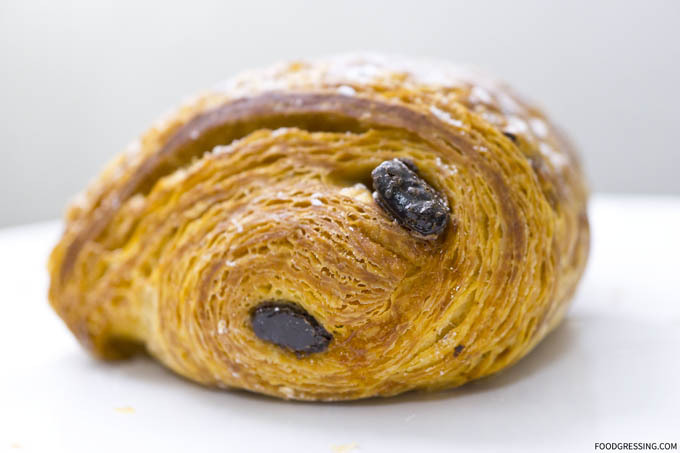 The cake melts into your mouth as it is smooth, creamy, and airy light.